Hi everyone! I just wanted to apologize for the lack of blog posts! I’ve been extremely busy with my classes and traveling, that I haven’t had much time to commit to the blog. But fear not! I will return to it soon with many good stories and adventures to share! 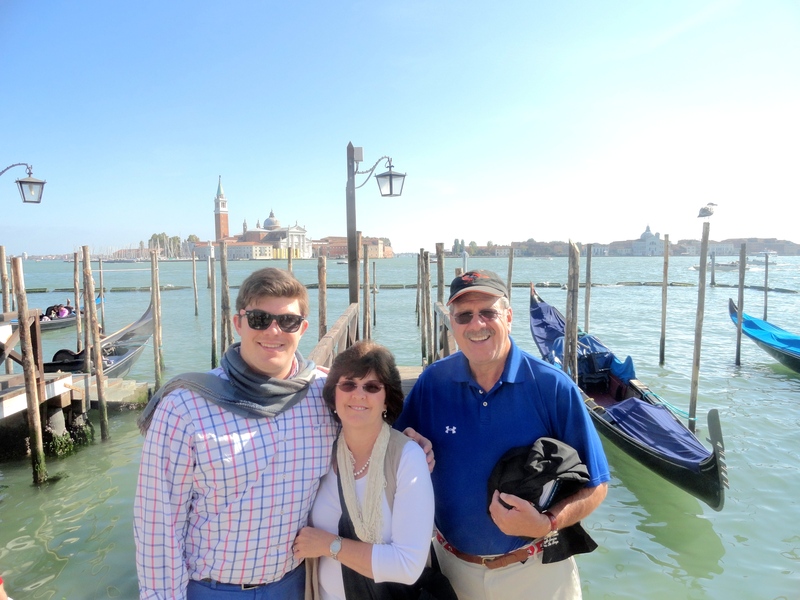 I neglected to finish the story in my last post about Venice, but my parents finished the last leg of their two-week vacation in Padova with me. 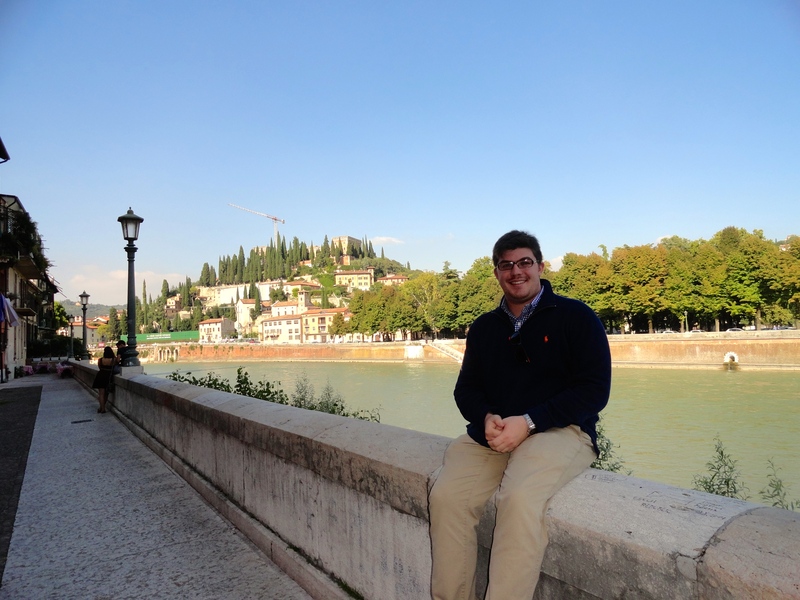 I was happy about their choice to do this because Padova really is an authentic, Italian city, and by that I mean there aren’t any tourists, no one speaks English, and people aren’t out to scam you. 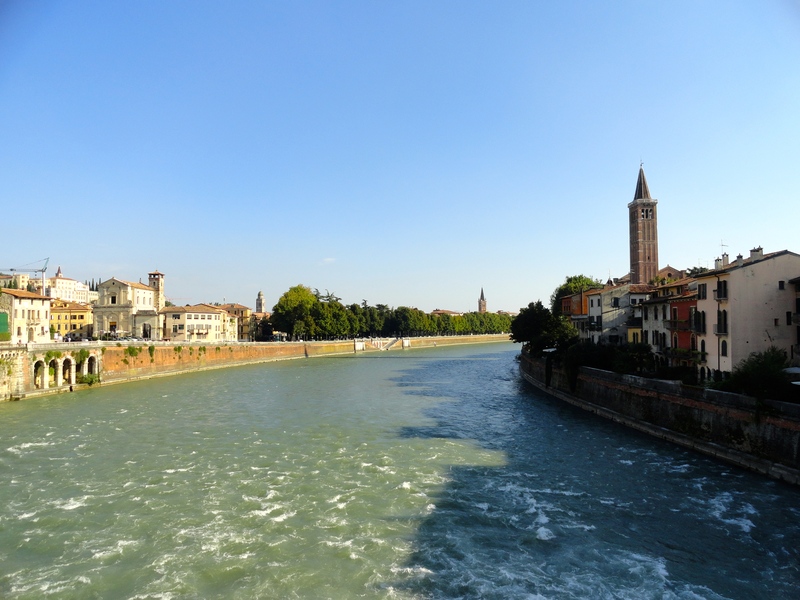 I met them for lunch on a Thursday afternoon, and they planned to spend Thursday and Friday nights in Padova. Unfortunately, I had classes on both of those days, but I directed my parents to key points to see in town, as well as some shops to keep them occupied. 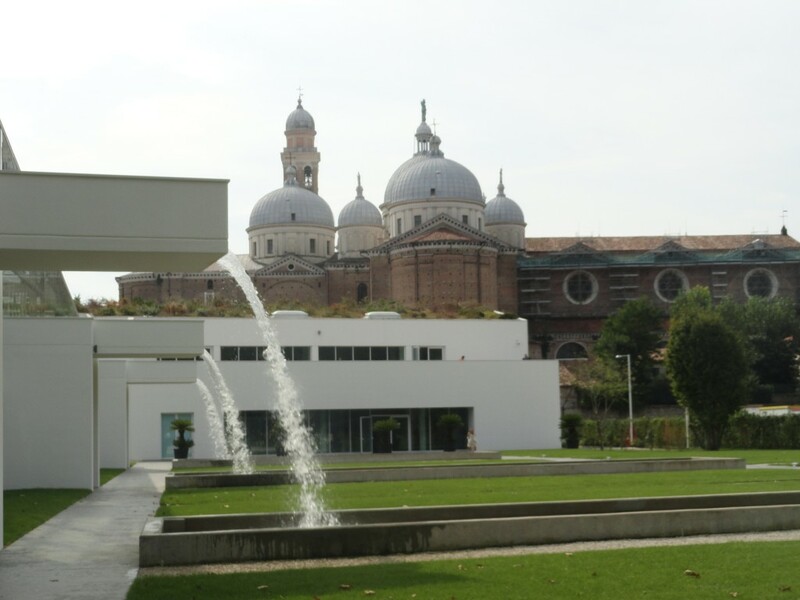 If I remember correctly, they saw the Basilica Sant’Antonio, the Basilia Santa Giustina, and the Prato della Valle. Then, after truly introducing them to the aperitivo tradition in the Piazza dei Signori, we had dinner at the restaurant where Boston University took us on our first day — Donna Irene. It’s a really beautiful restaurant tucked away in a quiet part of town with an artsy inside and a beautiful outdoor oasis for dining outside. Unfortunately, it was a bit chilly to have dinner outside, so we ate in. I remember enjoying my meal the first time I went, but I was so glad that I took them back! It truly is one of my favorite restaurants in Padova, and my parents really enjoyed their meals — at quite a reasonable price, I might add. I then spent the night with them in their hotel (relatively far from the center of town), since they had upgraded to a suite with a pull-out sofa. 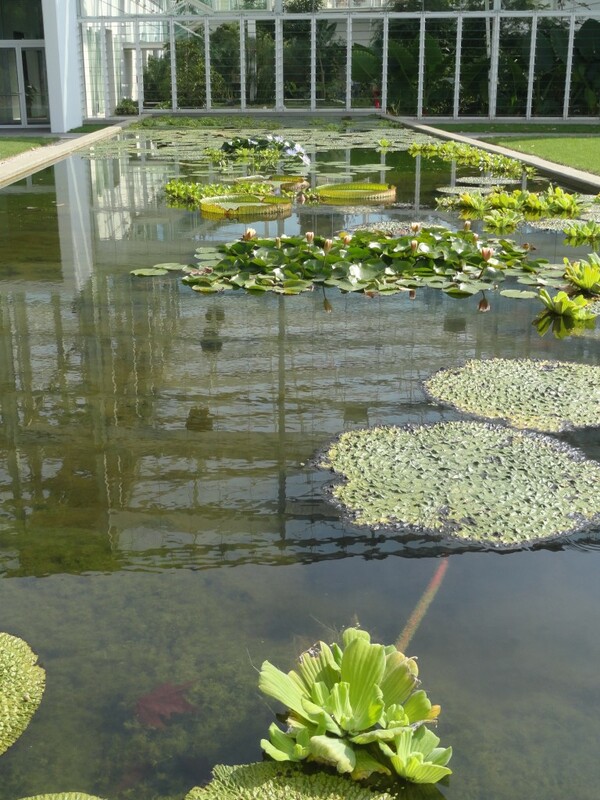 The next day we took a trip to see the Botanical Garden which I hadn’t even seen yet. It was really beautiful, but maybe not as lush as some other gardens I’ve seen in the past. 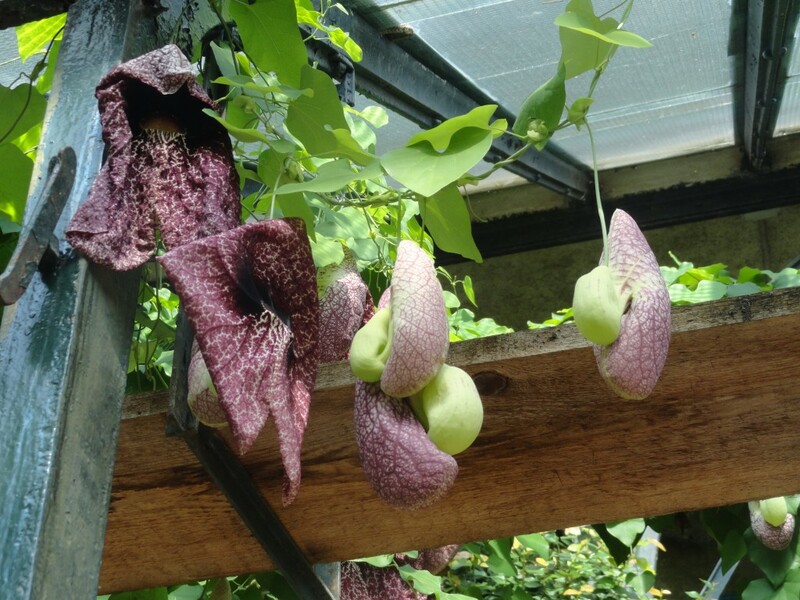 I think my mom really enjoyed it, especially the indoors-portion with the more exotic plants. After having lunch, I had to leave them for classes. That night, I took my parents to Brek, which is a local place that is sort of like an Italian chipotle, where you can pick you pasta, sauce, extras, etc., and also it was like Wegmans, where you could purchase other things ala carte. It was fine, but instead of ordering our own, unique dishes, the chef decided to cook three plates worth of what my Dad ordered. Part of it was as a result of translation error, but part of it was the chef’s fault — he probably didn’t want cook for three people. college kids . . . and us. To my Dad’s satisfaction, he was able to get bratwurst, sauerkraut, and other german delicacies (and of course german beer!). It was actually kind of fun. It was interesting because the band was basically a Red Hot Chili Peppers cover band, and of a town in which no one speaks any english, all of the kids knew the english lyrics. Strange . . . Anyway, on their last day, I took my parents to the markets that are always held in the Prato della Valle. She didn’t buy much, but I think my Mom enjoyed going through the markets. There are a lot of things there that you might not find at your average Florentine market 🙂 To finish the day off, we had lunch at Donna Irene again (since we loved it for dinner), and I got to watch my parents try out the traditional caffe corretto (a shot of espresso with a shot of grappa) before heading back to the train station. 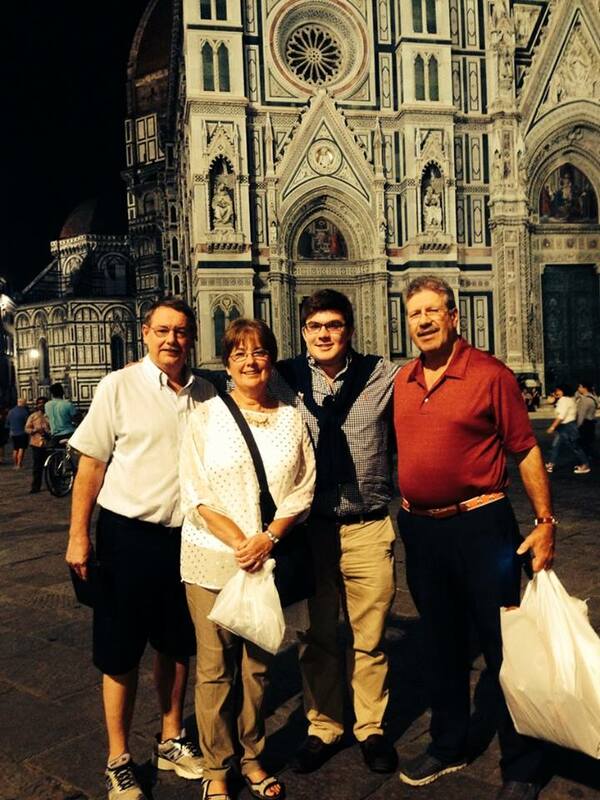 It truly was very nice to see my parents for as much as I did in Italy. Such as it is here in Padova, I enjoyed seeing familiar faces (and speaking a familiar language). 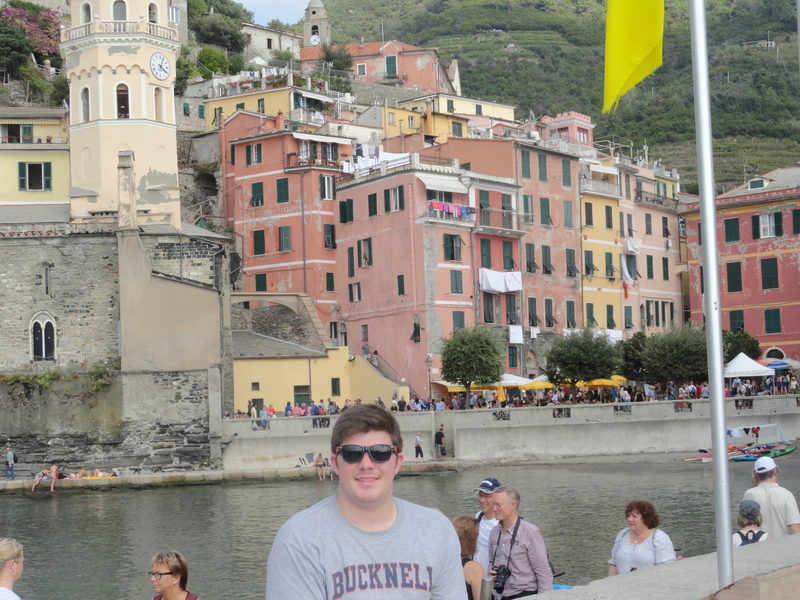 I hoped they enjoyed the trip as much as I enjoyed watching them enjoy Italy. 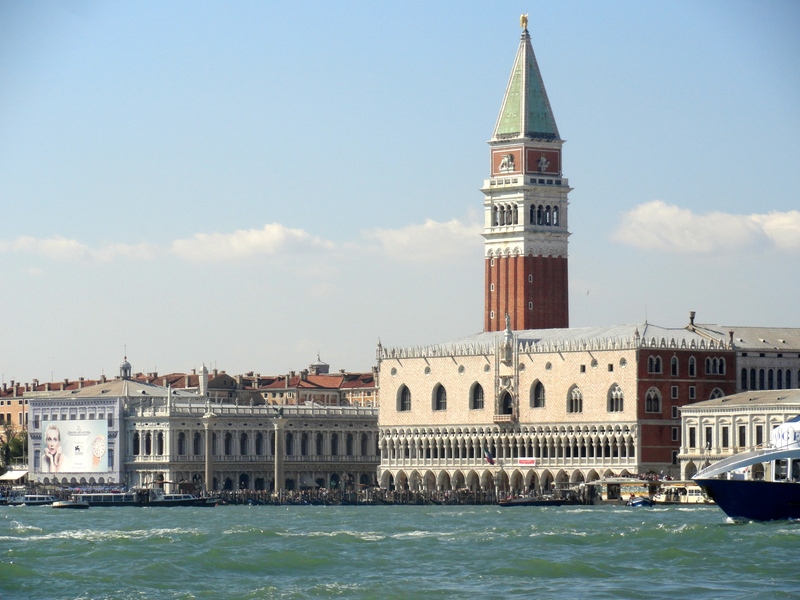 planned opera trip to Venice’s famous Teatro La Fenice to see Mozart’s Don Giovanni was no longer viable because o issues with the tickets. Anyway, a fellow student/opera-buff and I went to the Teatro Comunale Giuseppe Verdi to go buy tickets — nosebleeds costing $28 a pop. Not too bad for an opera. When we got there, we learned that there weren’t any tickets left at that price. HOWEVER, somehow, the ticket-lady “found” two seats in the center-middle of the gallery (which is all the way at the top). I was convinced she used magic, but we bought the tickets anyway, and off we went. Fast forward to the day of the opera, a Sunday matinee, my friend and I arrive at the opera house just before the overture began. We found our seats — only to discover that they had been taken by two men! We spoke with the usher, and she told us to kick them out — so we tried. To our surprise, the two gentlemen were able to produce real tickets, just like ours, with the same seat numbers! There was nothing we could do but go back down to the box office and explain the problem. By now, the overture was in full motion, so needless to say, we were stressed to the max. The lady at the box office actually wasn’t that surprised about what happened. We explained that we bought the tickets the Wednesday before, and that they were legitimate. It sounded like this wasn’t the first time they double-booked seats — now I understand the magic behind why we were able to get the tickets! Anyway, to their dismay, probably, they found two open seats in the back of the ORCHESTRA level, and within a matter of seconds, the lady produced hand-written tickets for those seats, and rushed us to the seats just before the overture ended. 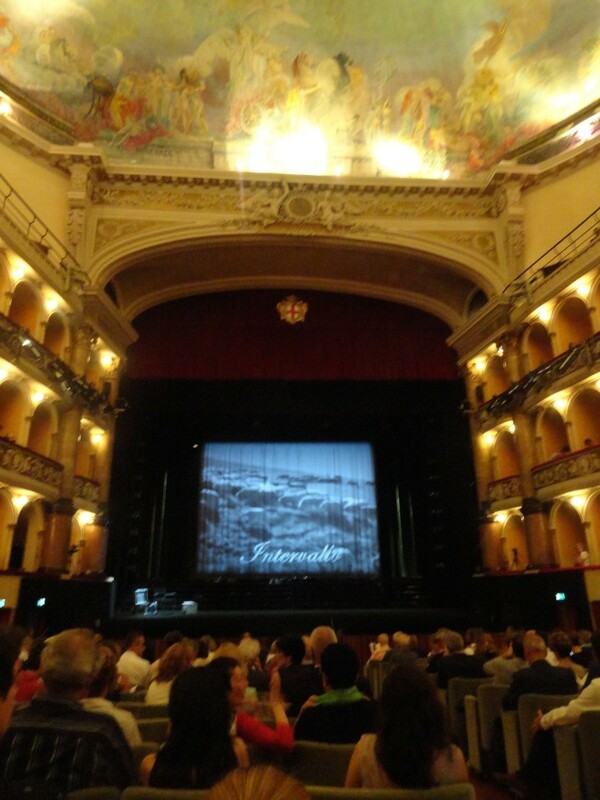 Insomma, we loved the opera. Unfortunately, though, we were expecting supra-titles with the english translation or the italian lyrics. What were we thinking! 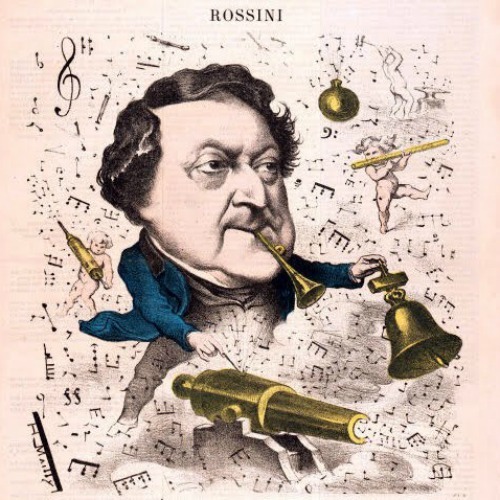 It turns out that, harkening back to the early days of opera, the ushers had produced libretti — the actual text of the opera — to the audience before the show. We didn’t get them because we were late, but I wasn’t too worried, since I had already since Il Barbiere. In reality, italians would have read the libretto beforehand (although this isn’t the case today), and they wouldn’t have had a need for the libretto. 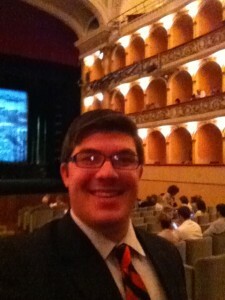 This opera, like many operas today, had a modern interpretation with a modern backdrop and costumes. It didn’t detract from the performance too much, but as a traditionalist, I prefer period dress and staging. 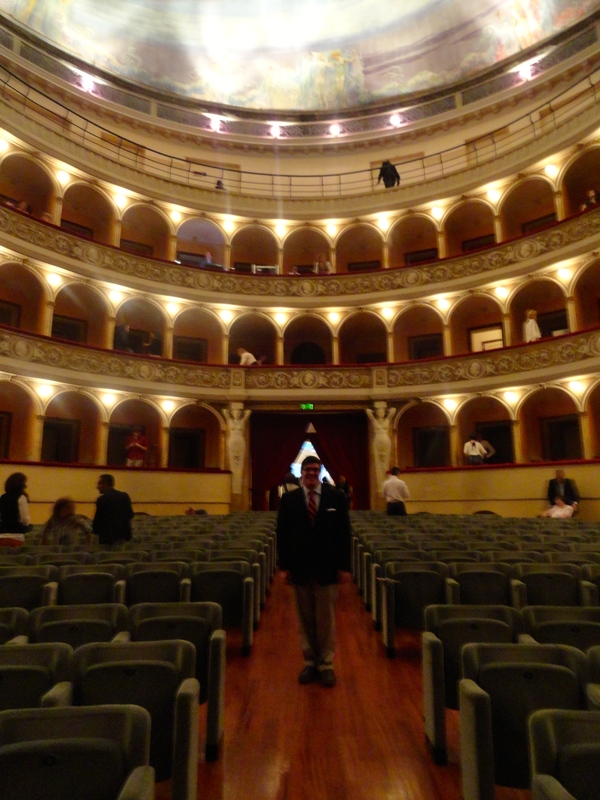 The singers were very good, especially Dottore Bartolo and Count Almaviva. 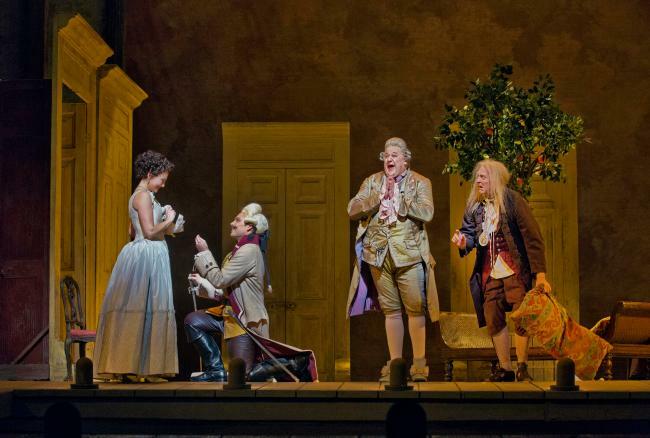 The Barber was pretty good and the Rosina was just okay — I’ve seen better at the met. All in all, though, i really enjoyed the performance, and it was worth every penny — especially since we got orchestra level seats! I still can’t believe it! 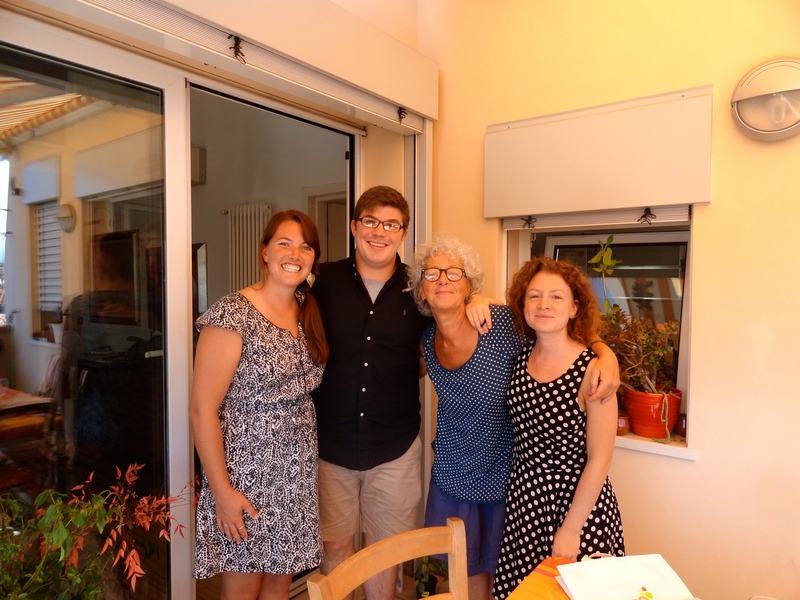 After a brief goodbye with my parents and aunt and uncle, I reunited with my parents again (since my aunt and uncle left for the US), in Venice. 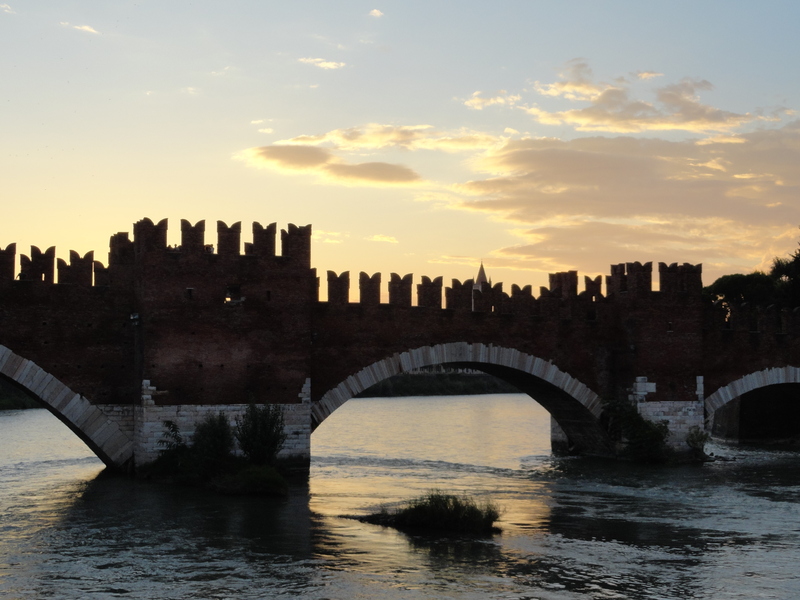 I was to meet them for dinner after my Monday class, spend the night, and join them for a tour of the the islands around Venice, which are Murano, Burano, e Torcello. Just when I thought I left the bad weather in Florence, it turns out that another hail/rain storm was heading for Venice just as I arrived at the train station. Fortunately, I made it to cover before it got any worse. I felt bad, though, for my parents, because they were finishing up their “romantic gondola ride” as the storm came. Not surprising to me at all, I saw tons of people walking around Venice in the rain, selling ponchos and umbrellas to desperate tourists. That night we had dinner at a small restaurant, and then I went back to my hotel to do some homework. 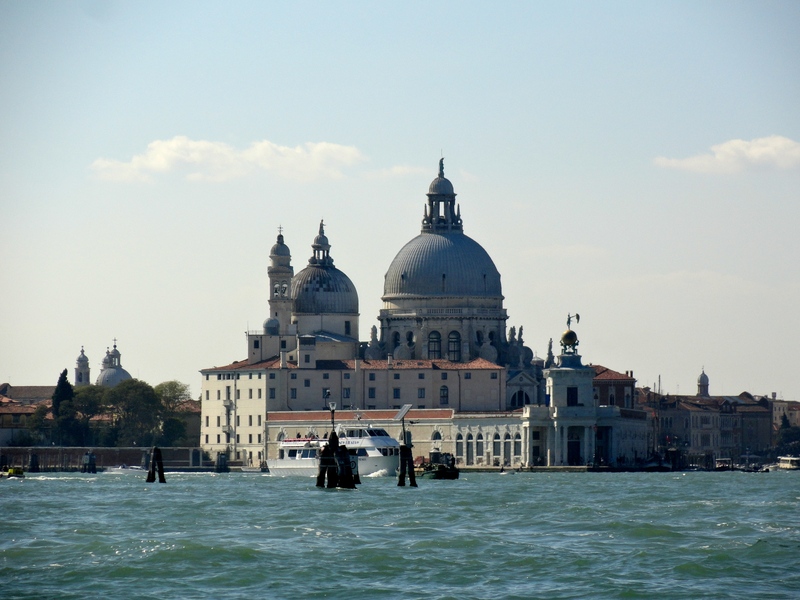 The next morning we started for Saint Mark’s Square to begin our boat ride to Murano. We were somewhat disappointed that the cabin of the boat we were taking was inside the hull, undercover, only with windows to look out. But it wasn’t that bad. 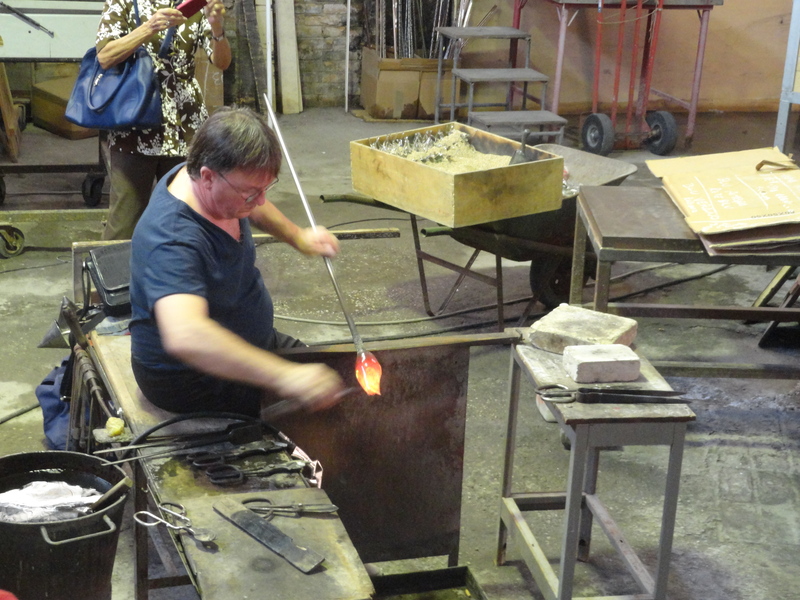 We were warned by my aunt and uncle, and by the boat operators, that we basically had 45 minutes on the first island, Murano, to see everything there was to see, those being a glass-blowing demonstration and the glass shops. The demonstration was really cool, although I didn’t realize you weren’t allowed to take pictures or video — I did both! After being herded to the gift shop as if in a Disney ride, we spent only 10 minutes walking through Murano before we had to get back. That definitely wasn’t enough time to buy glass and have it shipped home, so we left. The ship operators said they would leave not a second after the indicated time, and they stuck to their word. Just as they pulled away, a mother and son came running toward the dock, realizing that the captain called their bluff. In reality, they captain brought the boat back, but they clearly made an example out of the late passengers. Next, we went to Burano, the island famous for lace-making. 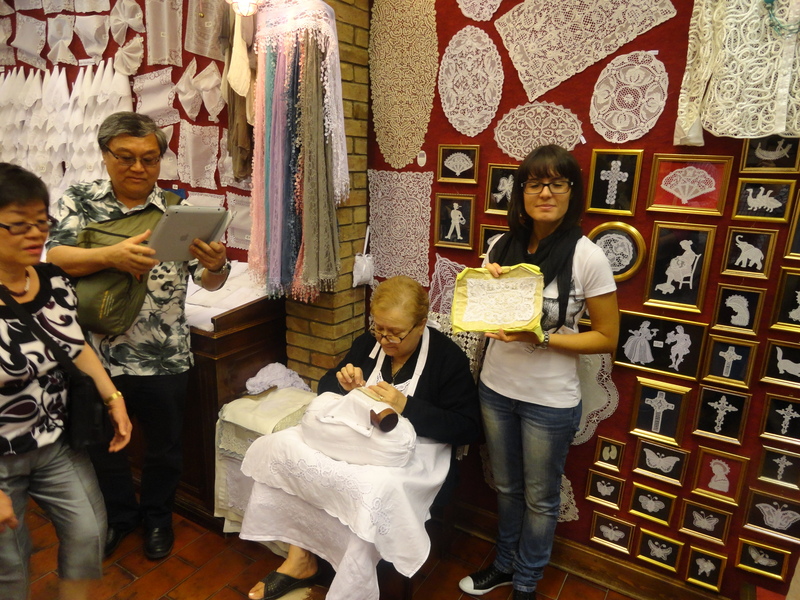 We saw a shorter demonstration of lace-making by an older Italian woman, making the lace delicately and carefully. As always, we were lead upstairs to where they were selling their wares. 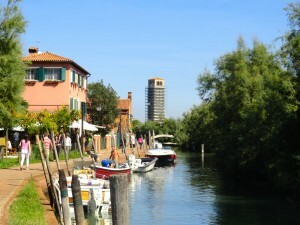 We made our way through the rest of the town, enjoying it just as much as Murano. We even purchased a bag of traditional cookies from Burano, called Bussolà. to drink?). Honestly, there wasn’t as much to do on this island, so we ate a quick lunch and enjoyed the atmosphere. but totally worth the experience. 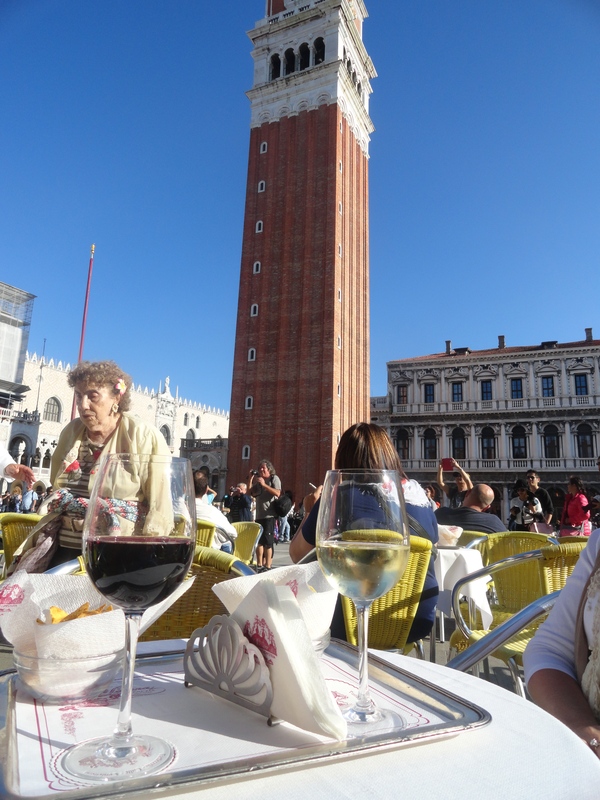 Who says that Venice has to be stressful? sauce, over a cake of polenta. It was actually one of the most delicious things I have every eaten, regardless of how gross it looked. Topped off with a negroni sbagliato, it was a great evening. Finally, I took a water taxi back to the train station, and from there took a fast train back to Padova. 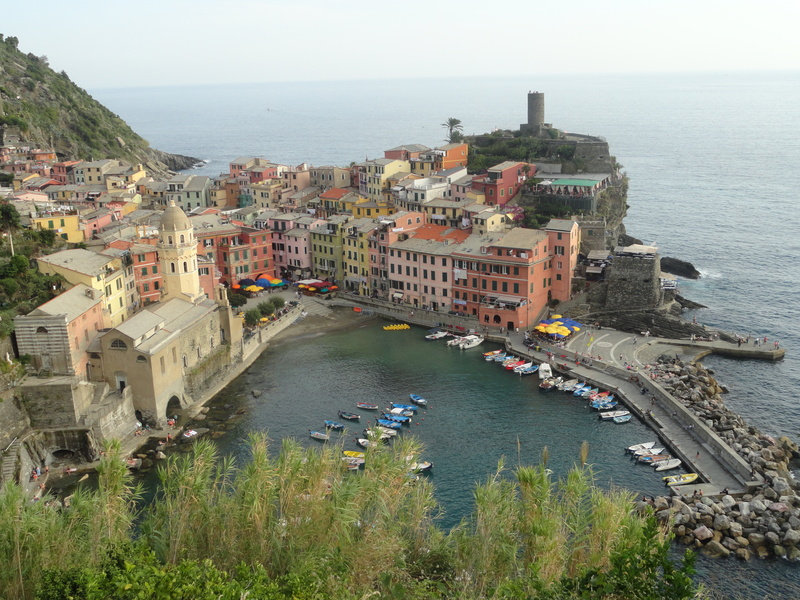 So when I write that going to Cinque Terre was an adventure, I truly mean it, from the moment we left Firenze. First, the family opted to rent a car instead of taking a train. While I wouldn’t ordinarily doubt the driving skills of my uncle, we can all agree that driving in Italy seems terrifying, what with all of the smart cars, vespas, and tour busses doing whatever they want on the roads. Fortunately, we did have a GPS equipped with European maps, so directions weren’t a problem. The real problem was having 4 backseat drivers! and around the side of the mountains. My family said it reminded them of driving “The Road to Hana,” which didn’t really mean anything to me, since I’ve never been to Hawaii. 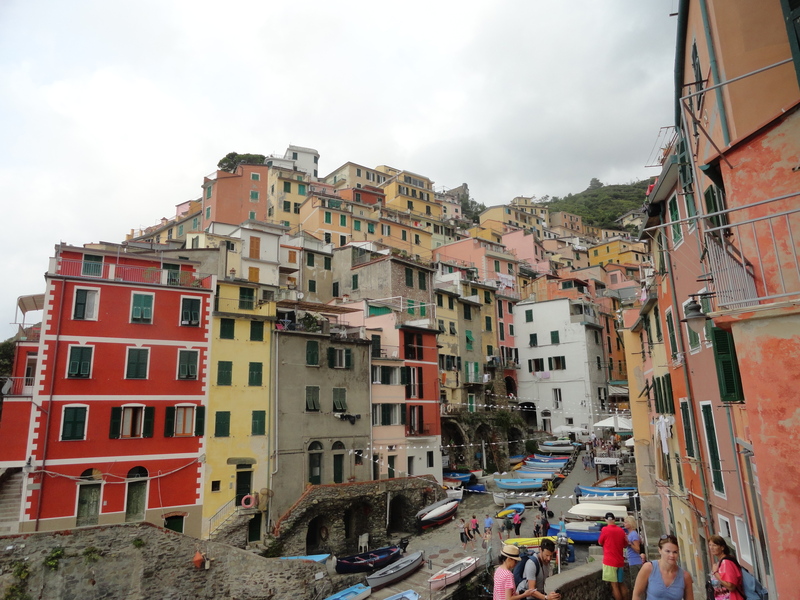 Finally, we got to Monterosso al Mare, had lunch, checked in to our hotel, and made plans to take the train to the next town, Vernazza, where we wanted to take the hiking trail back to Monterosso. 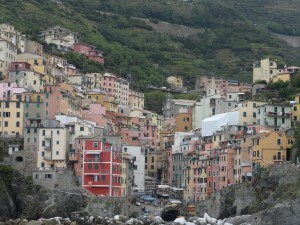 We knew beforehand that there was a train that travels back and forth between the 5 villages of Cinque Terre. What we didn’t learn until arriving at the station was that there was going to be a scioppero, or a labor strike, going into effect at 9pm that night. This made our train experience much more hectic, since everyone wanted to get on before the strike. 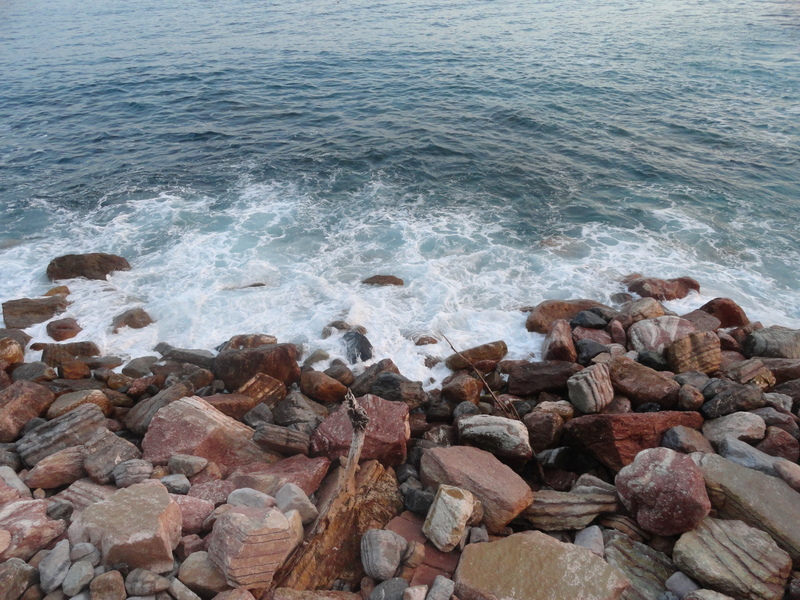 Vernazza was also where we planned to meet our friend, Tian, who has been studying medicine in Berlin. He planned to meet us there with his Italian friend for the weekend. 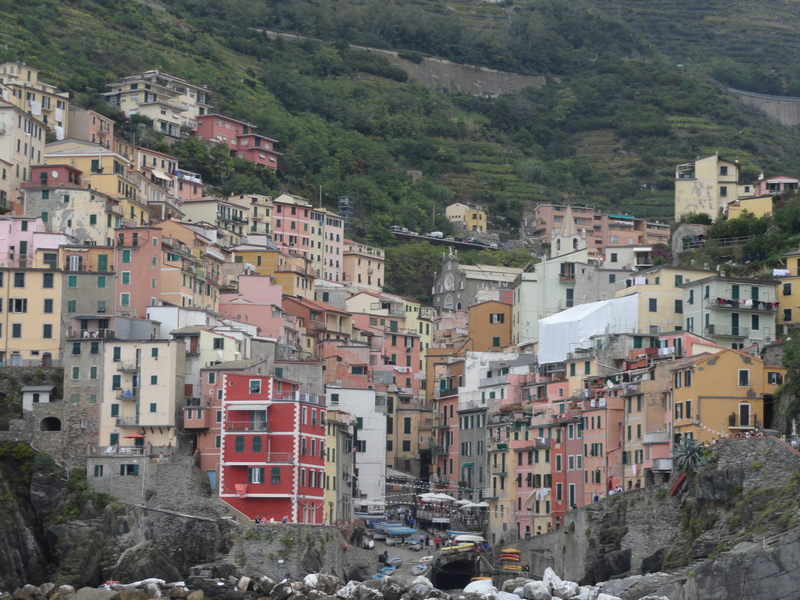 Unfortunately they were a bit late getting to Cinque Terre from Milan (I think . 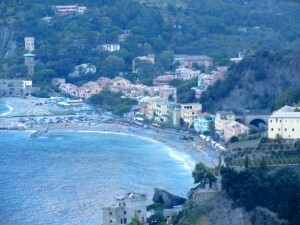 . .), and so we decided to hike the trail back to Monterosso without him, since we had dinner reservations that night. “went down from here,” or “how much further it is to the next flat portion,” and everyone lied! We got different answers from everyone, and people kept mentioning that there was some local Italian in the middle of the trail selling lemonade and limoncello. We were in such a fatigue-induzed daze that we didn’t really understand what was going on, only that we wanted to make it back before sunset, in enough time for our reservation. 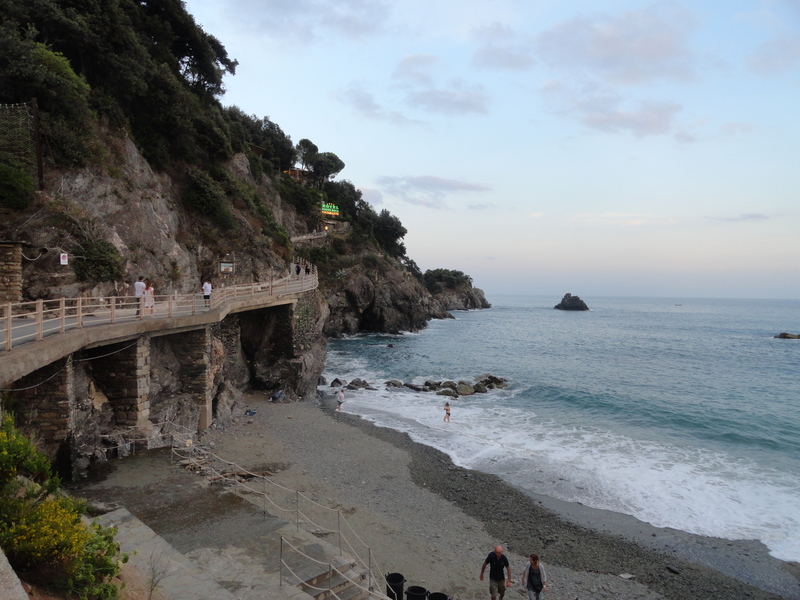 Finally, we made it back to Monterosso al Mare after nearly a 2 hour journey. I’m sure we didn’t look pretty to the Italians and tourists enjoying their dinners by the water, but no matter. 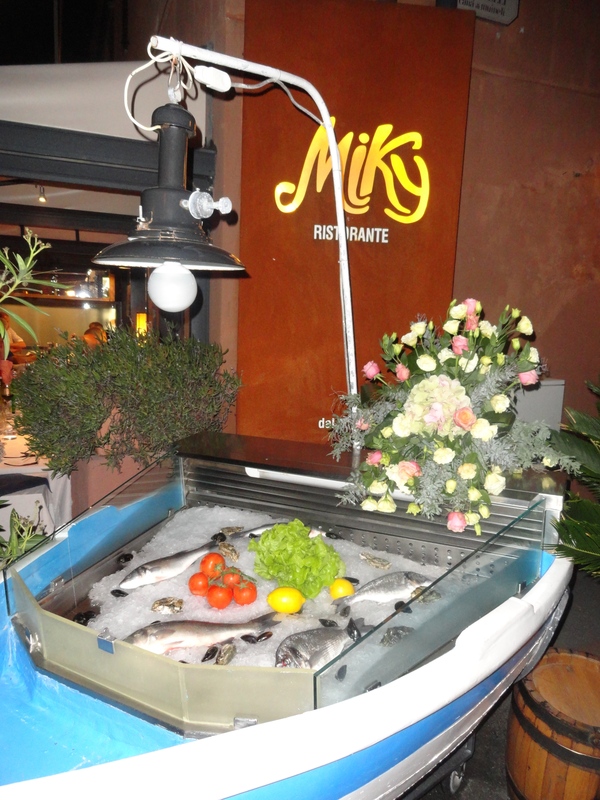 We had reservations, which I had to change 3 times on account of Tian’s inability to join us in time, at Ristorante Miky, the top rated restaurant on TripAdvisor. I had a delicious plate of gnocchi alla genovese, which means that it was in a pesto sauce. The wine was a local ligurian variety, which was very complex and delicious. My mom and aunt ordered an amazing seafood risotto which was covered in a puff pastry that had been torched in front of us. I was fortunate enough to try it. 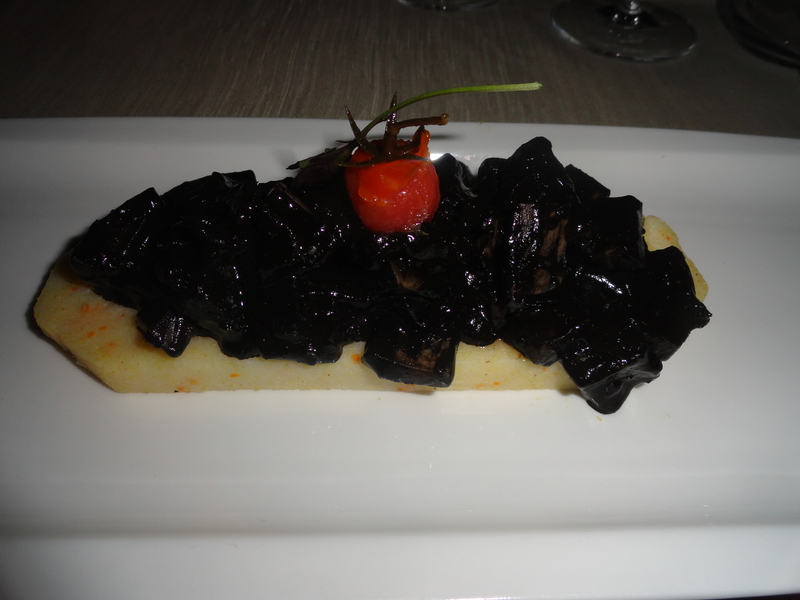 One note about risotto in Italy: On every menu in Italy, the risotto dishes have a caveat that there is a minimum requirement of two orders of risotto in order to have it, since risotto takes an extreme amount of patience, work, and attention. 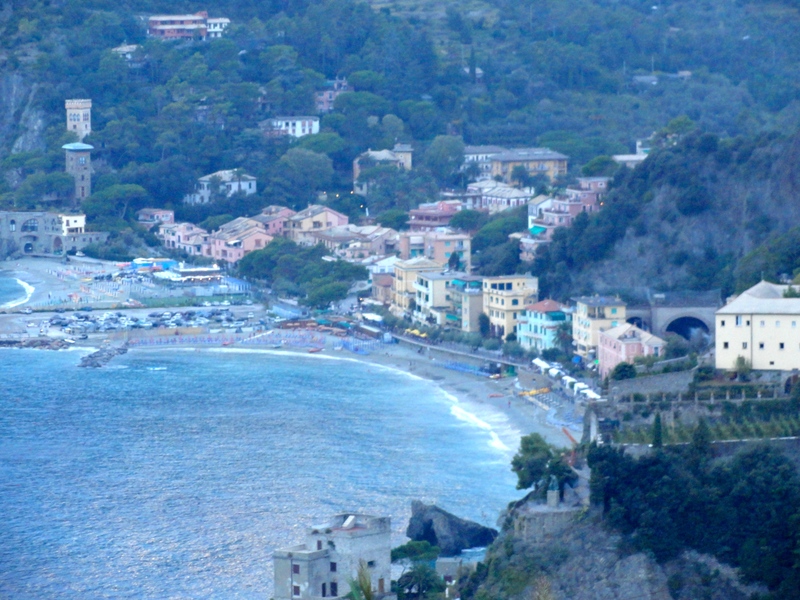 get on the next boat back to Monterosso al Mare in enough time to drive all the way from Cinque Terre to Padova, where my family would drop me off on the way to their hotels in Venice. 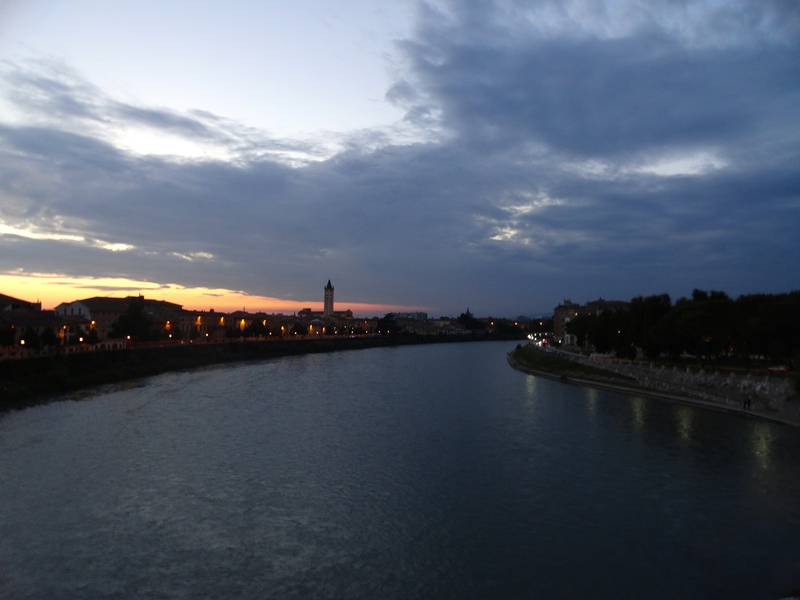 That night, we decided to have dinner in Padova, since my aunt and uncle wouldn’t get an opportunity to see it, with the exception of that night. I knew we were in for a surprise, because none of them speak Italian, so I had to order meals for all of them. Of course, the restaurant we chose didn’t have any english translations of the dishes, and I wasn’t familiar with all of the vocabulary on the menu! Everything that we ordered was basically a surprise, but everyone enjoyed their meals . . . I think . 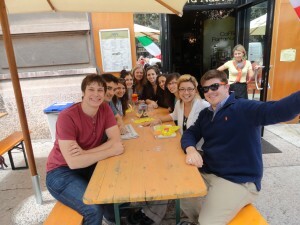 . .
Last Friday, I had the pleasure of attending the BU group trip to Florence for a day. 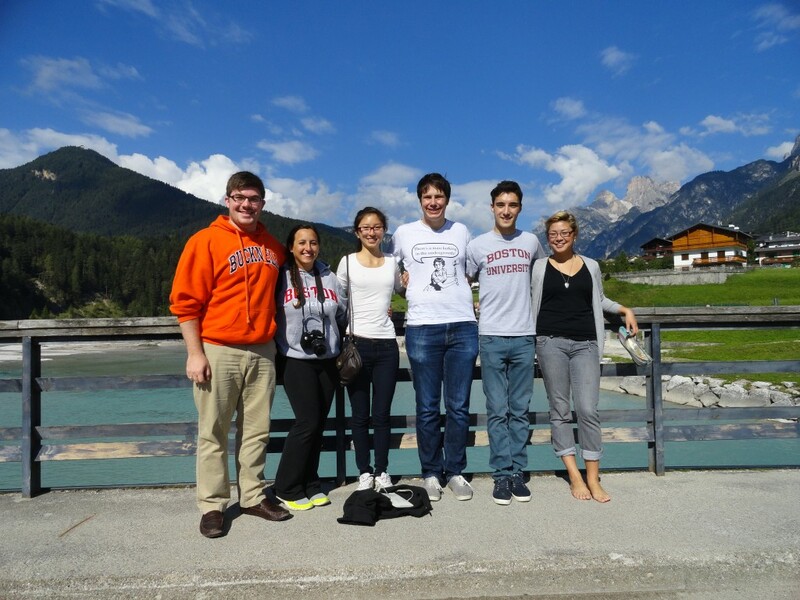 As I might have said before, there are 3 trips programmed/coordinated by Boston University, and this was the first (the others are to Roma and to Rovigo/Ravenna). I was also anticipating this trip because I planned to meet my parents, aunt, and uncle, who had been touring there for three days. We planned to spend the night, and then depart for Cinque Terre. While preparing for the trip, I saw that the weather prognosis looked a bit grim — two chances for scattered T-storms during the day on Friday — so I packed a rain jacket, just in case. In fact, the overcast sky that morning confirmed the weather forecast. The train we took was one of the “frecciargento,” or the Italian bullet train — I have to say that it was quite an experience. Similar to an airpane, this train was equipped with numbered seating and tray tables for four opposing seats. Not only was this train extremely fast, but it was also one of the smoothest rides I’ve ever taken. 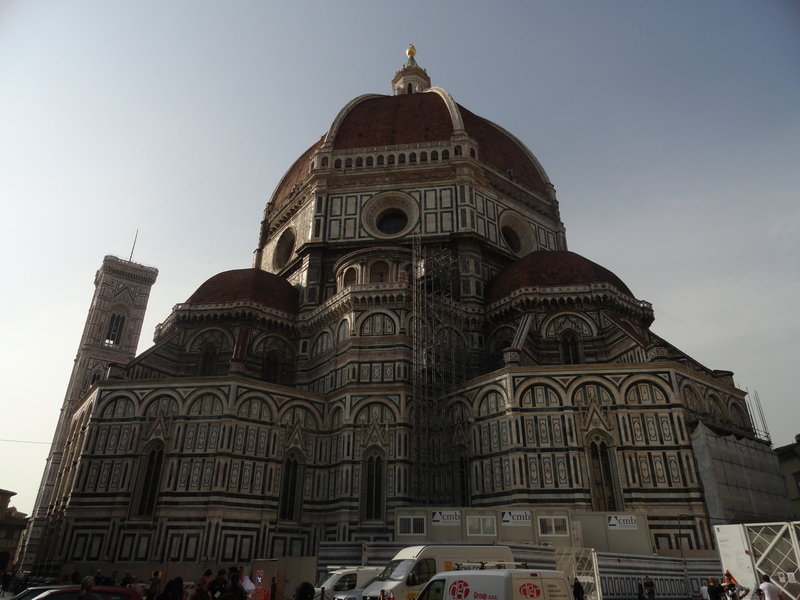 Anyway, there was a bit of a delay, but we got to Firenze in relatively good time. Upon arriving, I was happy to have met up with my Uncle, who took my bags back to their hotel, which was only steps from the train station. We then made our way to the Duomo, where one the Professors from the Venice program, a native Florentine, introduced us to the city. While I had forgotten the exact layout of the city, everything started to become familiar from my trip from 5 and a half years ago. 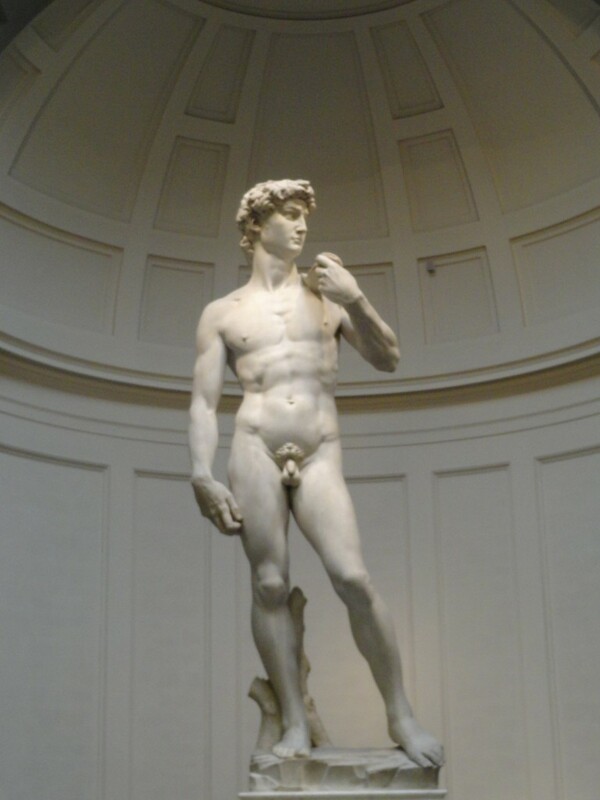 We then made our way to the Accademia Galleria, where Michelangelo’s David is kept. I was looking forward to seeing it again, because 5 years ago, you couldn’t take pictures, and now you can. I also didn’t particularly remember any of the other works of art help in the Accademia, so this was a good opportunity to refresh my memory. -Michelangelo considered this to be his greatest work of art. While you might think that the painting of the Sistine Chapel ceiling and the Last Judgement would be his magna opera, you have to remember that he considered himself to be a sculptor first, and then a painter. In fact, the professor said that Pope Julius allowed Michelangelo to take the David commission in exchange for painting the Sistine Chapel — needless to say, Michelangelo couldn’t resist the offer. -The detail on the David, magnificent as it is, is even more interesting because of the precision in which he sculpted David’s body parts. Remembering from my reading of Washington Irving’s “The Agony and the Ecstay,” Michelangelo snuck into mortuaries and exhumed corpses in the middle of the night, in order to perfectly understand human anatomy. Leonardo had done it, but this practice was certainly illegal and frowned upon in Florence. We were very fortunate to come the the Academia when we did, because it turns out that the T-storm decided to strike in the middle of our tour. While the professor was lecturing on the art work, his voice was drowned out by the sound of hail hitting the glass ceiling of the museum. Upon finishing the museum, the hail and rain had just stopped, so our timing couldn’t have been better. 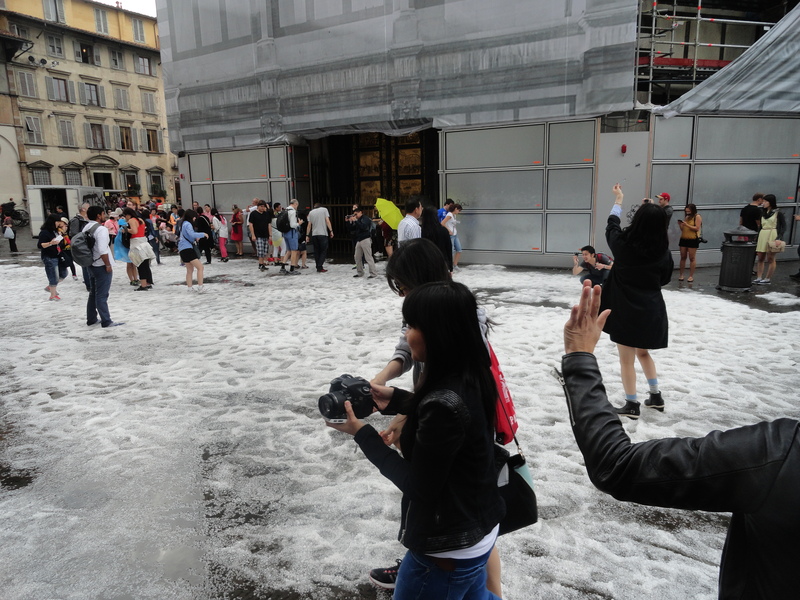 Hail outside the Baptistry. It was literally like walking on top of snow. After the Academia, we were free for lunch, and that is when I planned to meet my dad and uncle for lunch. Apparently, my mom and aunt were still in the middle of an Italian cooking lesson, which they said was the best part of their whole trip. After hearing what they cooked, I would agree! Anyway, my dad and uncle and I decided to stop at a small sandwich shop for a panino and a glass of wine. 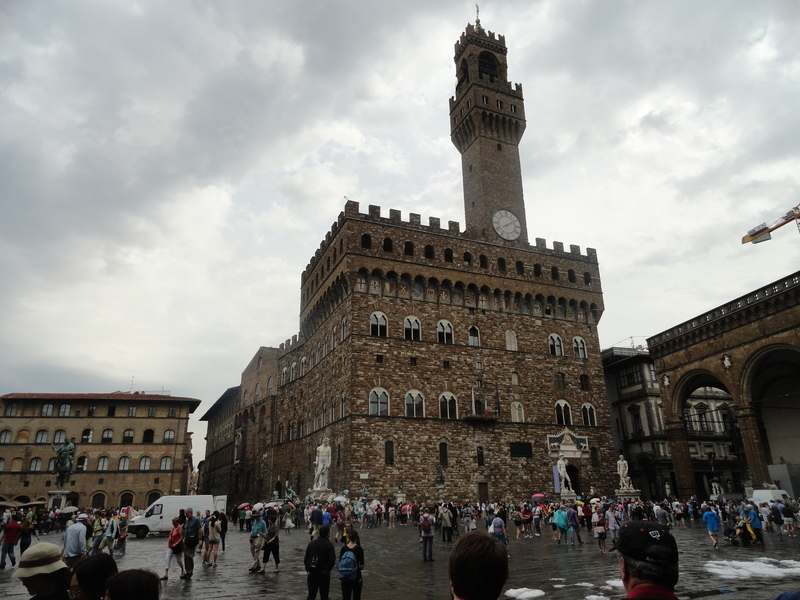 We had to be quick because I was scheduled to do a tour of the Uffizi Gallery shortly after. I was sorry that I rushed, because upon reaching the Uffizi, the professors explained that the museum had closed due to the hail damage. Apparently the city of Florence isn’t prepared for freak storms like that one, so ALL of the museums and churches, including the Basilica Santa Croce, where closed. Instead, the professor took us to the best gelateria in town, called Vivoli. Then, I decided to try to meet up with my family, since the rest of the group planned to find the hostel they were staying in that night. 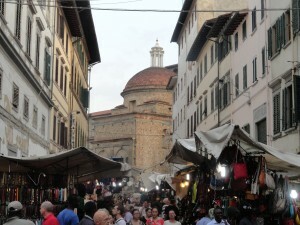 Upon seeing them, I decided that we ought to go to the Markets of San Lorenzo to do some shopping, since some of the best shopping in Italy can be done there. My efforts were successful, all in all. I wanted to get a leather jacket, since I didn’t buy one last time I went, and I also wanted to get a scarf. Fortunately, I was able to procure both, thanks to some haggling skills I retained from last time (and paying in cash helps too). one of the places recommended by my family’s travel agent. In good Florentine fashion, I ordered ossobuco and chianti. It was magnificent. Relieved that I finally got to see my family after nearly a month away, I joined the family in the hotel they were staying at, since we were to depart for Cinque Terre the next day. Insomma, I wasn’t too upset that those museums were closed, or that I didn’t get do to everything I wanted to do in Florence, but I’ll just have to make another trip! The day after I got back from Verona, my host mother, Carlotta, had planned to host a lunch for someone special. 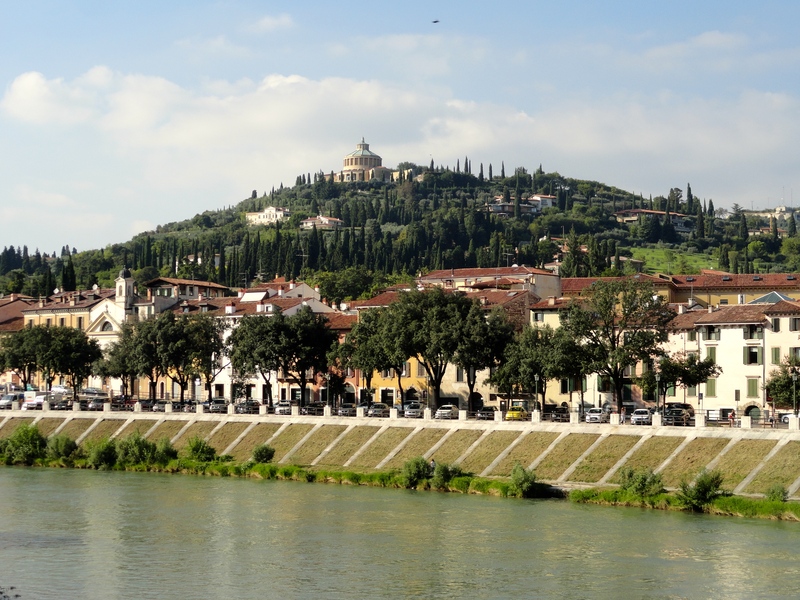 She said that the sister of the student she hosted last spring would be in Padova for a frisbee tournament (#random), and that she would be coming for lunch. 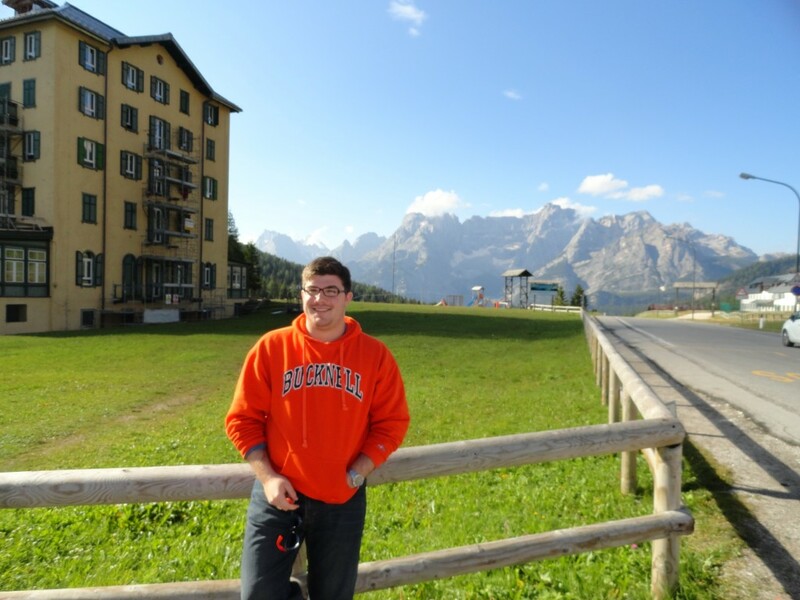 Her name was Megan, and her brother, the student Carlotta hosted last Spring was named Tom. Megan was very nice, but when I learned that she hardly spoke any Italian, I realized that this would be a working-lunch. Basically, i translated most of what she wanted to say, although she did well on her own when she tried to speak Italian. They were pretty impressed. When I spoke to her or asked a question, I would first say it in Italian, so the family could hear, and then I spoke in English. That worked pretty well, I thought. 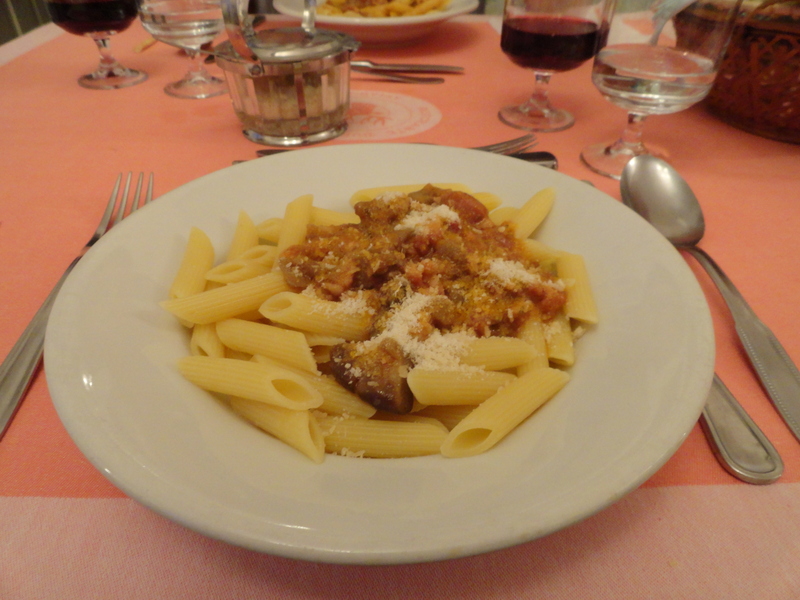 Anyway, lunch was great: pasta for the primo piatto, and then some sort of braised beef with zucchini for the secondo piatto. For dessert, Rocco ran out and bought some gelato for us. She couldn’t stay long, though, since she had to catch a train, but it was a very pleasant afternoon with the family. 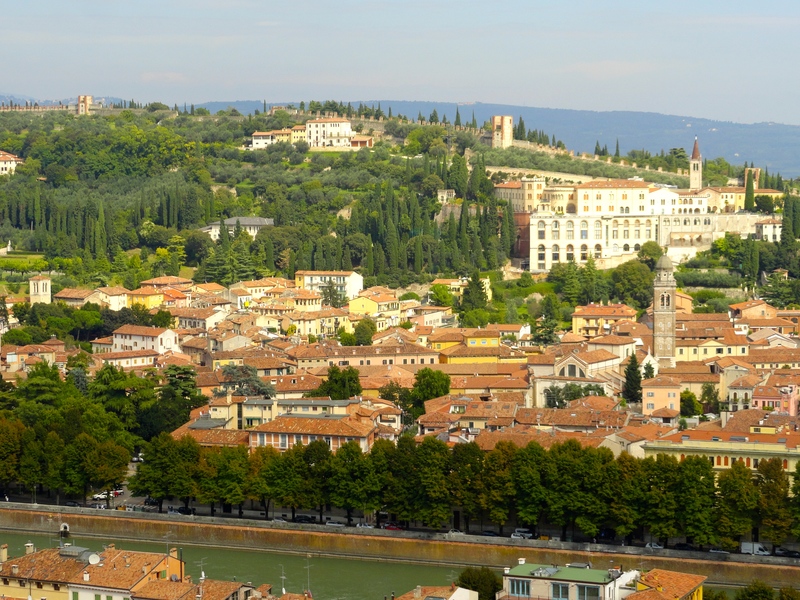 Next weekend is the program trip to Florence. Stay tuned! 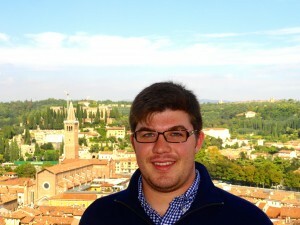 I’ll be meeting up with my Aunt and Uncle, as well as my Mom and Dad, who landed in Rome on Monday. I’m slightly terrified that they might struggle because they don’t speak a word of Italian, but I think they will be okay, surrounded by tourists and other Italians who speak English well. 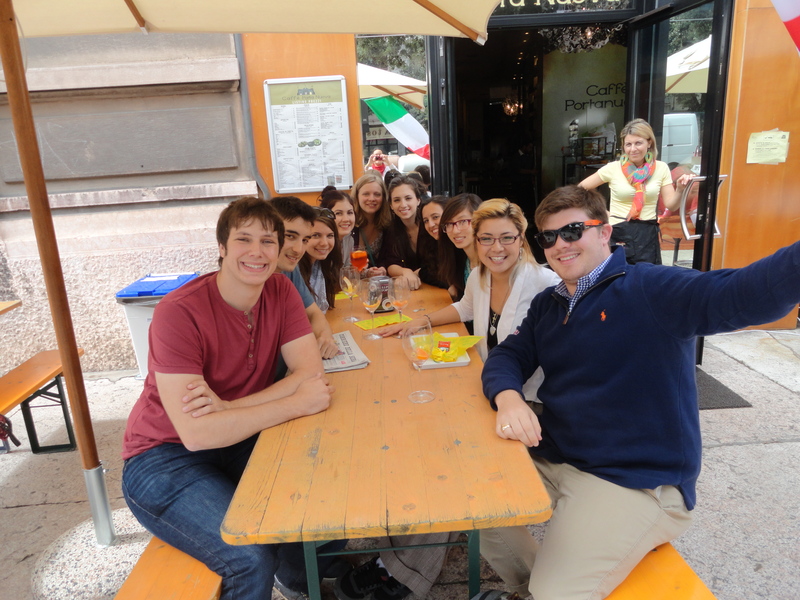 Alas, I came upon another free weekend, and so the group decided to travel to Verona for the day last Saturday. We couldn’t have asked for better weather. 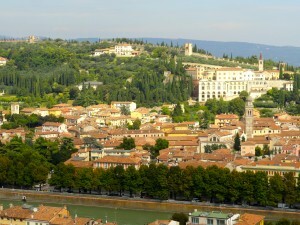 The train ride was a bit longer than I expected, since Verona isn’t that far away, but it was worth it. 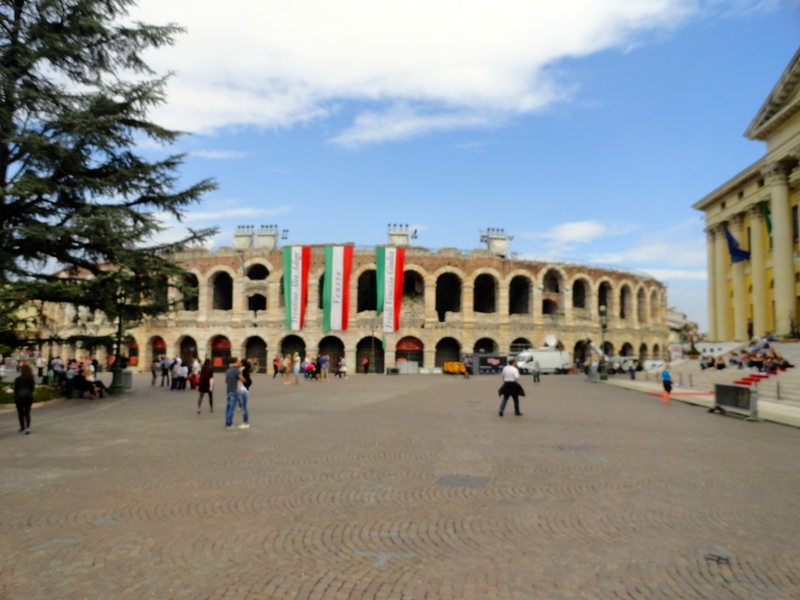 Actually, the first train stop from Padova on the way to Verona was Vicenza, and we’ll probably visit that sometime soon. Strangely, the train was packed with people going to Verona that day . . . 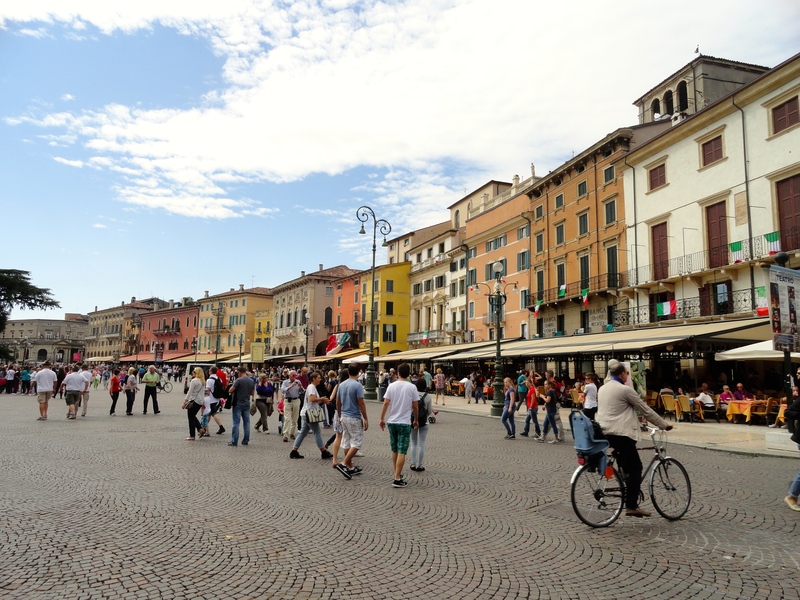 When we arrived in Verona, the first thing we did was stop for lunch, since we didn’t get there until after noon. I caved in to my America cravings and ordered a cheeseburger, only to find that it was pretty bad . . . I don’t know why I expected anything else, ma va bene. Then we began a tour of the city. First we saw l’Arena, which is an ancient Roman amphitheater, the third largest after the Coliseum in Rome and the amphitheater in Capua. It was cool, but unfortunately, it had already closed for tours. We ventured further into the city until we reached the Piazza dell’Erbe. Upon seeing the huge tower, we decided to see if we could climb to the top. 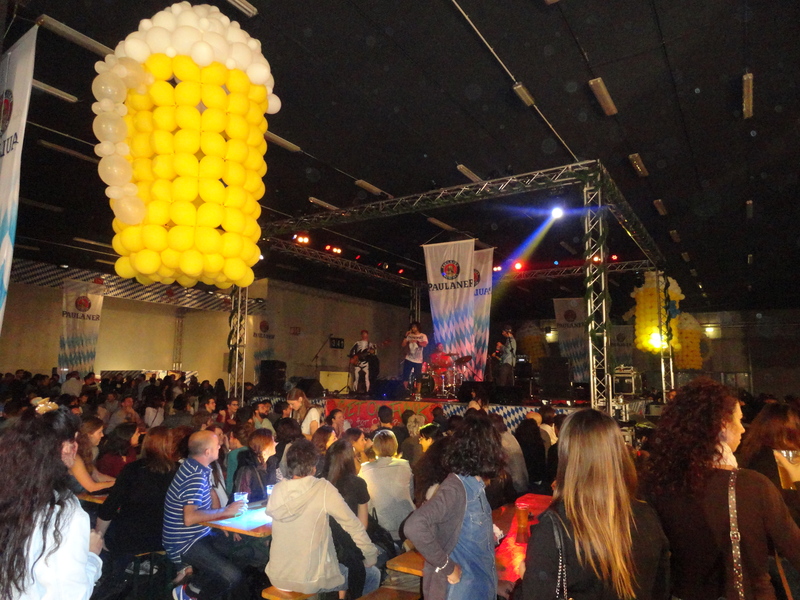 Thankfully, there was a student price of 5 euro, which was better than the normal price of 8. 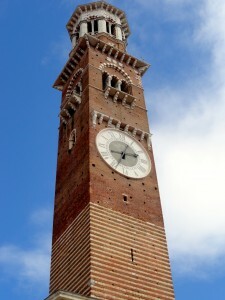 The Torre die Lamberti stands 84 meters high . . . I should’ve counted how many steps there were. 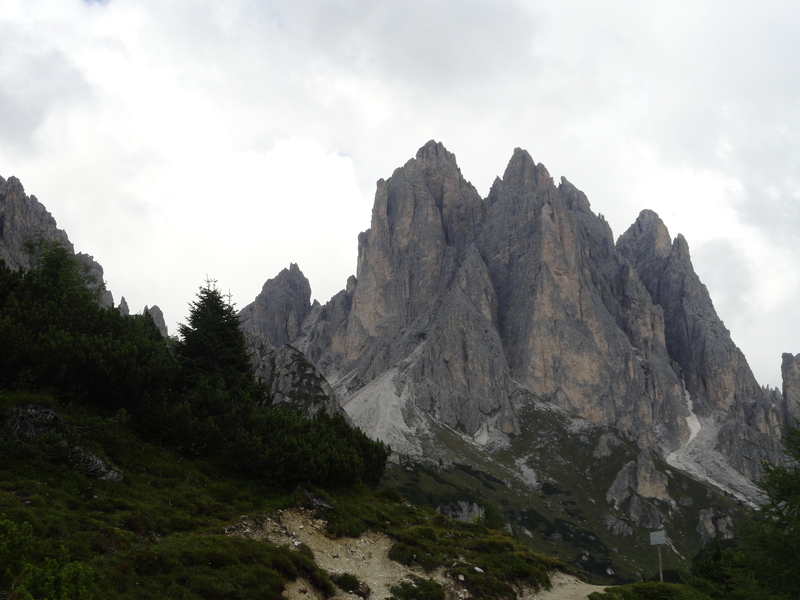 We decided not to take the elevator, still confident of our climbing skills from the previous week’s trip to the Dolomites. Unlike the campanile of the Duomo in Florence, this tower didn’t have landings every so often up the stairs. We marched all the way to the up and reached a beautiful vista where we took some pictures. Then we saw that you could climb even higher to they tippy-top. This was slightly more interesting, but the openings were covered by nets (so you didn’t jump off) , so we weren’t that impressed. Also, the bells went off while we were up there, which was quite loud. However, we still real enjoyed the view — definitely worth the effort. was constructed around over 400 years ago . . . FALSE! Turns out that the Balcony was added to the building around 100 years ago. Anyway, the place was still pretty interesting. There were walls were couples and lovers would write messages (which frequently get painted over to make room for more graffiti), and some of them were attached via Band-Aid #gross. 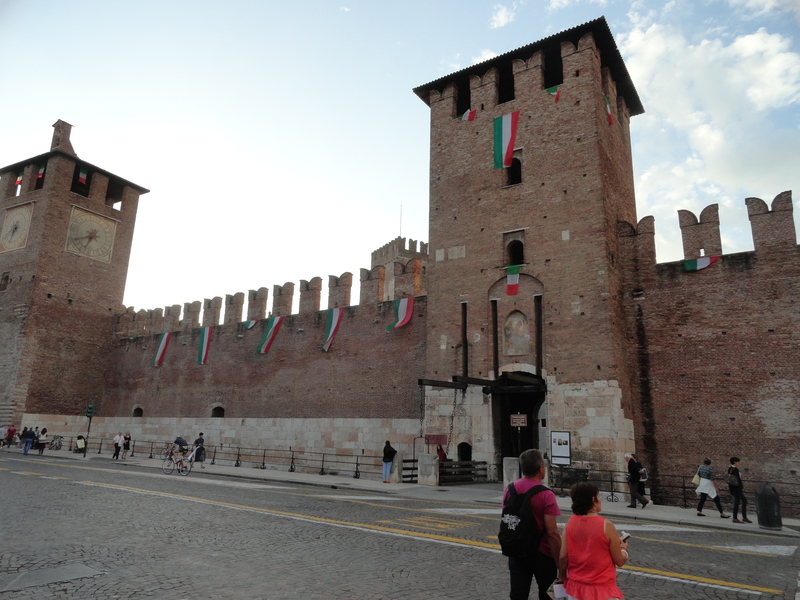 Later, having satiated our hunger for gelato, we continued to tour the rest of the city. Other notable sights included the Basilica di San’Anastasia, another Duomo, and the Ponte di Petri. 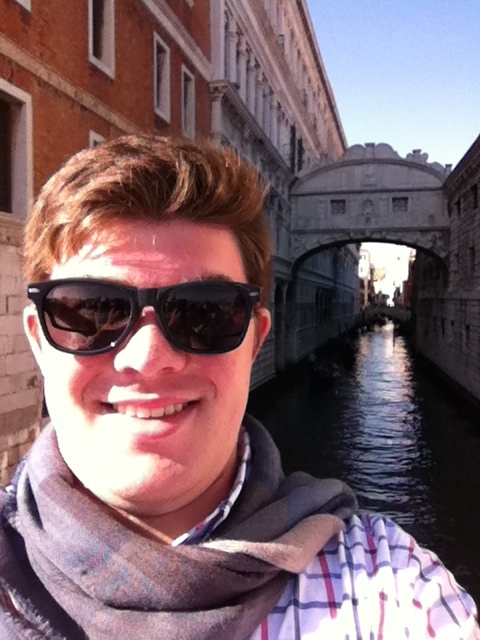 All were pretty cool, except you had to pay to see the Basilica di San’Aanastasia — not so cool. Group traveling is nice, since it’s always better to visit foreign places with other people, and it helps to travel in numbers for safety and logistical reasons. HOWEVER, traveling with others is not always ideal. 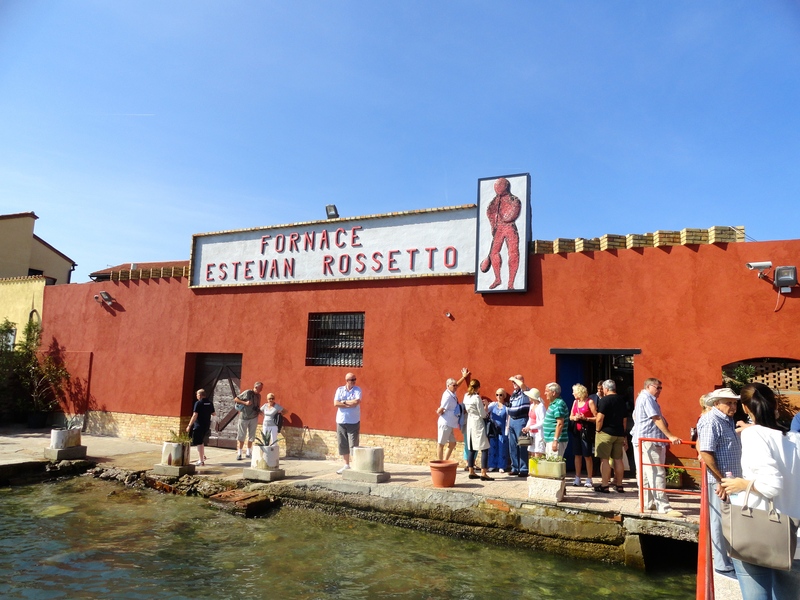 For example, I was hoping to find a restaurant that served traditional Veronese dishes, such as polenta and horse meat (which I hear is really good). 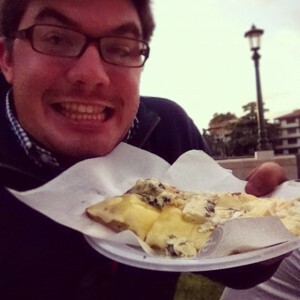 But since some members of our large group hadn’t managed their meal stipend so well, they only wanted to eat cheaply, which meant pizza or focaccia. What’s more upsetting is that some of these people squander their money on cigarettes/tobacco and gelato frequently, and then they complain about not having enough money for food. I tried to find nicer places on the way, but many restaurants weren’t open until later, so we settled for a place that made calzones. It actually wasn’t that bad, especially since I chose one of the best slices of pizza (or at least the most interesting) I have ever had in my life. It was a pizza made only of cheese: gorgonzola, mozzarella, gouda, brie, and ricotta. It was truly amazing. Side note: we also ran into a marching band that was playing through the streets — not sure why there was a parade, but it was pretty cool to follow them for a bit. After walking around the town some more, we decided to leave earlier than I had planned, since one of our groups members was feeling really sick. 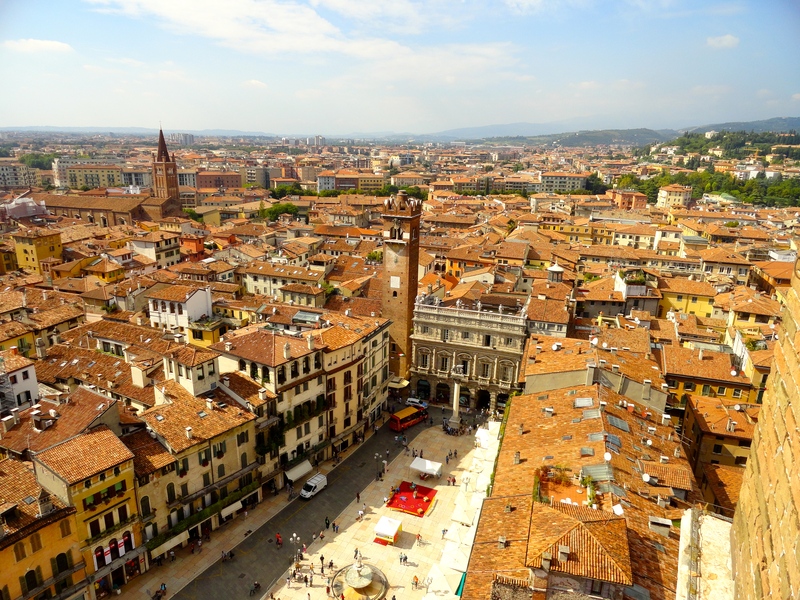 All in all, Verona was a beautiful city, and we had fun. 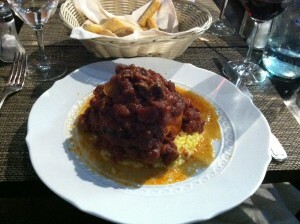 I don’t know that I would need to go back to see more, unless if to try the local polenta and horse meet dishes. 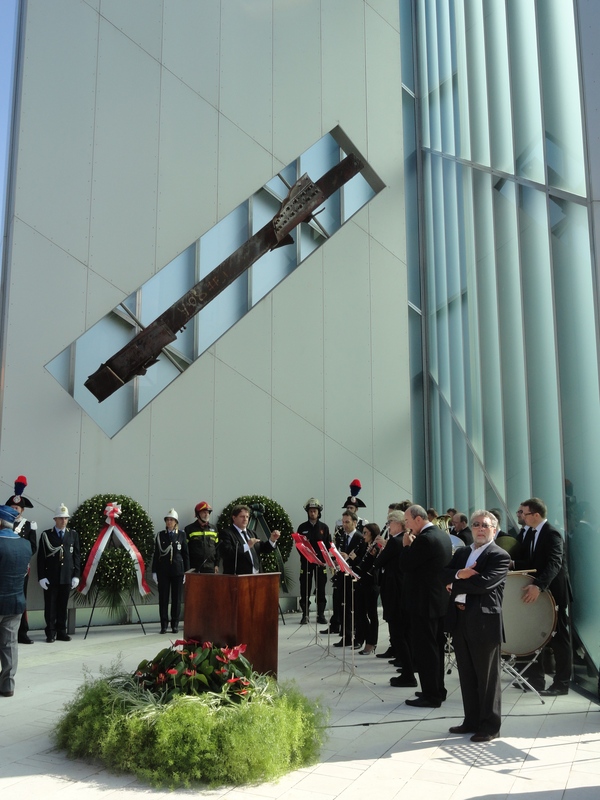 We were very fortunate to learn that the city of Padova offered a memorial ceremony for 9/11 at their own monument, designed by Daniel Libeskind, who also designed the reconstruction for Ground Zero. 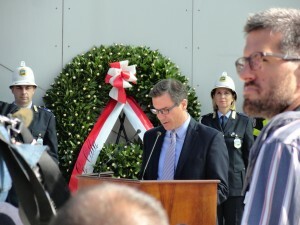 The Boston program coordinator and one of the professors took us to the memorial service. There weren’t that many people there — mostly government officials, mayors from the surrounding towns, retired military servicemen, local fire-fighters, and US personnel from the area. 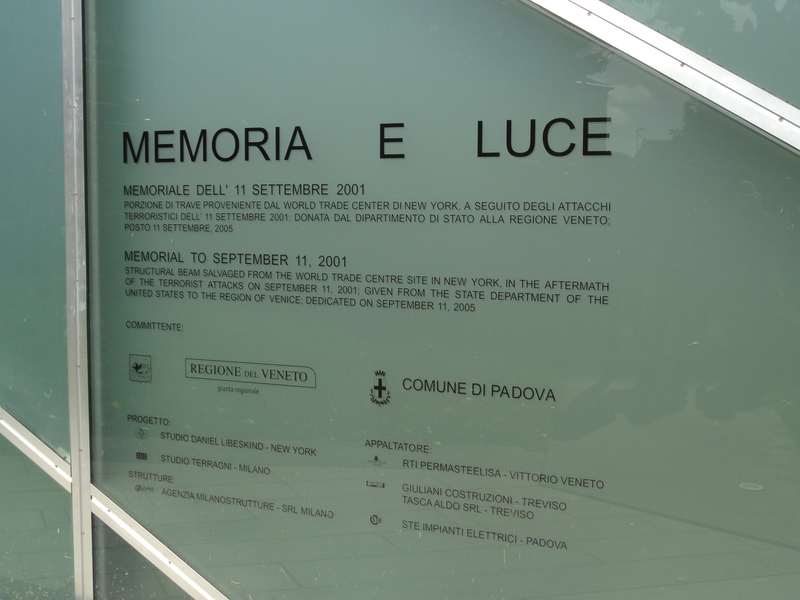 One of the Boston students was surprised to discover that a city in Italy like Padova would even hold such an event, but I subscribed to the belief that 9/11, and the events following, changed the world forever. 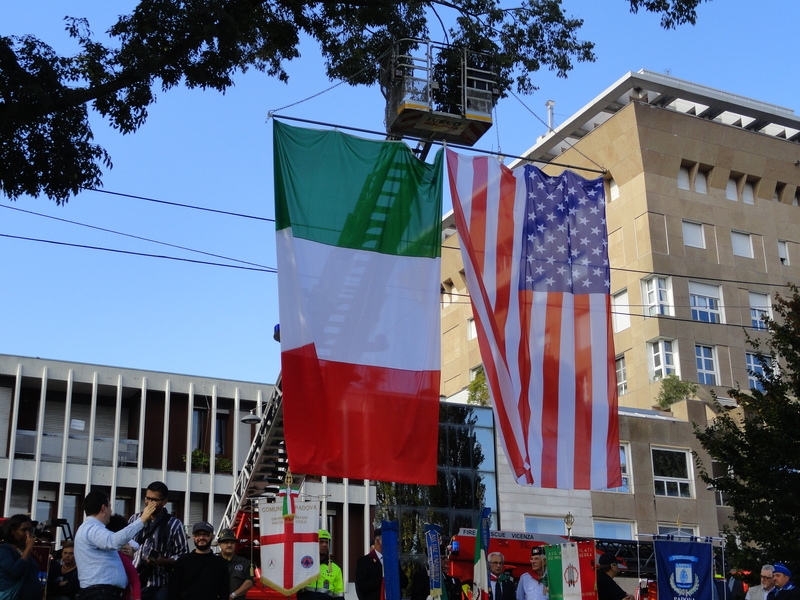 NATO’s agreement dictates that an attack on one nation is an attack on all the others, and in addition to the strong Italian-American heritage in NY, I wouldn’t find it that surprising to behold such an event in Padova. 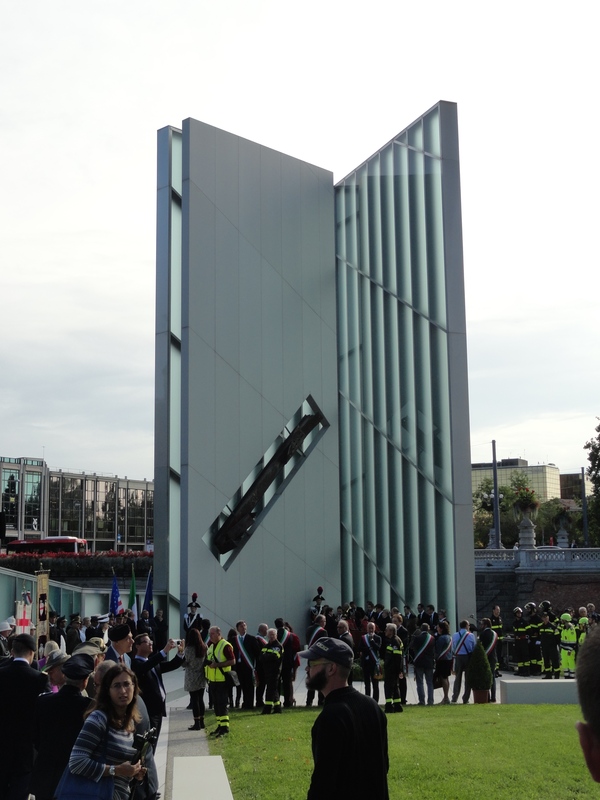 I’m more surprised that the town had a piece of the towers, than anything else. it should’ve been. His Italian was disgraceful. He spoke with such an American accent, and made so many stumbles and mistakes that many of the Italians were laughing under their breath. It was kind of sad, although his intentions were good. My favorite part, of course, was the military band. 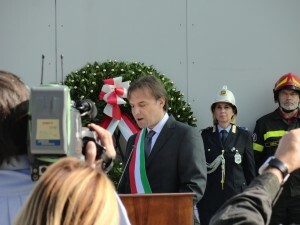 They started off the event with some Italian military marches. 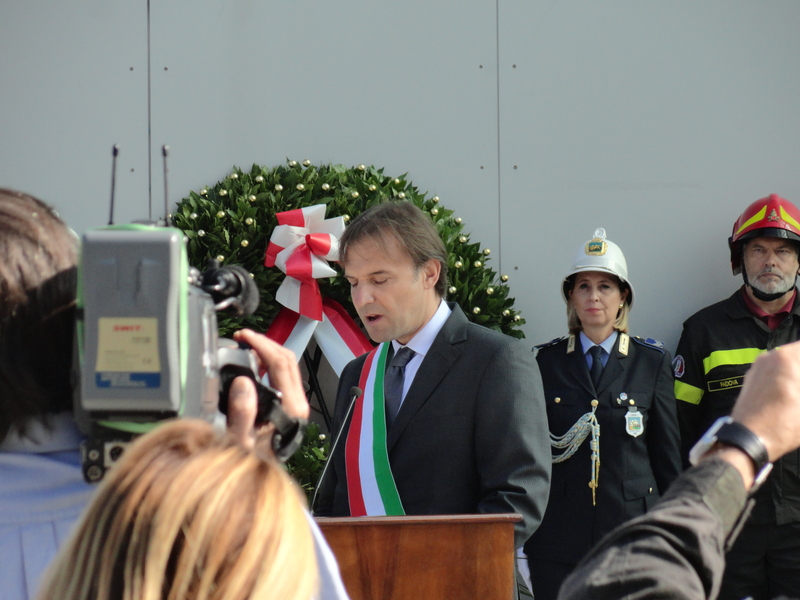 In the middle of the memorial service, they played Taps, the Star-Spangled Banner, and then they finished it off with L’inno d’Italia. In short, I was really pleased that we had such an opportunity to go, especially since it’s easy to neglect something like this when you are 5,500 miles away from home. two lunches, two dinners, and transport from the train station to the hotel, and from the hotel to our destinations of choice. He has a dog named Mil (pronounced M-EE-L) which was very cute, but constantly barking at us. All in all, there were 6 of us who went with the host-mother. 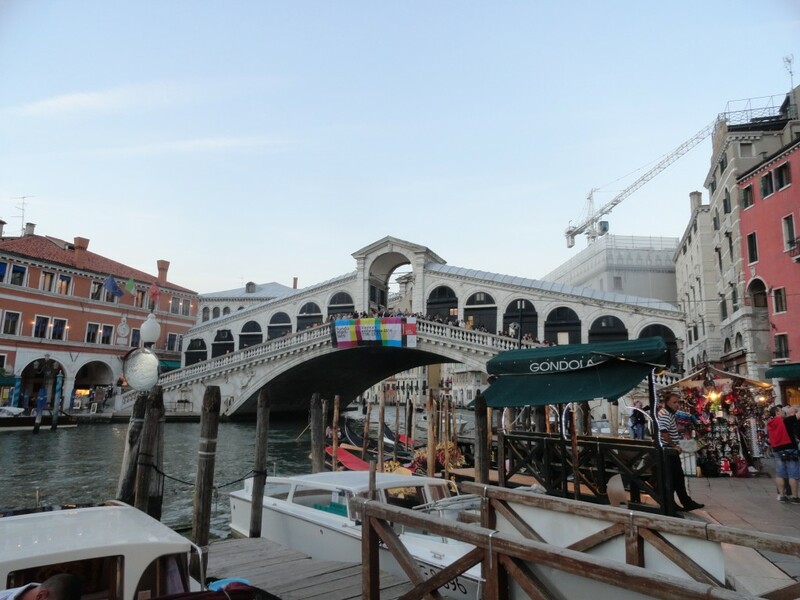 The rest of the group were going to do a day trip to Venice, so this trip seemed like the opportunity of a lifetime at a great price. 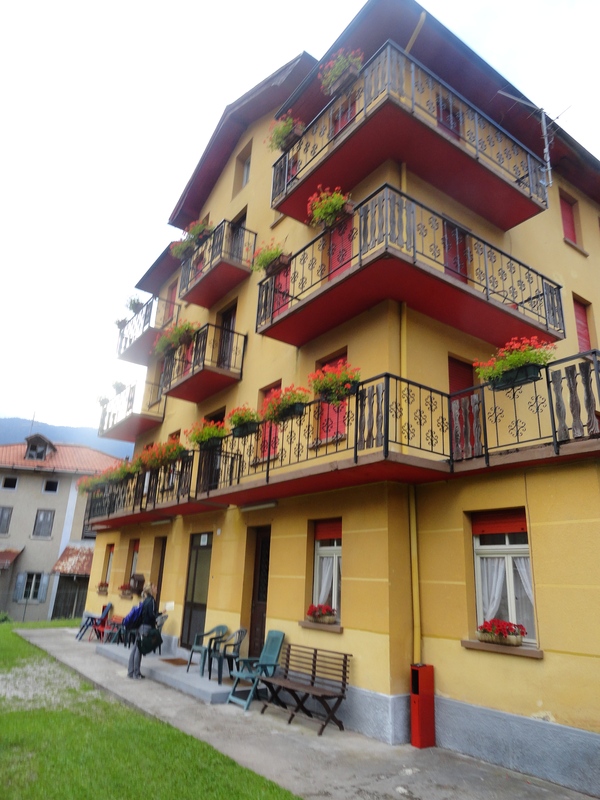 Since the host-mother, Thea, could only seat 4 people, me and another student had to take a train from Padova to Calalzo, which is the station closest to the townof the Hotel, which was called Vigo di Cadore. 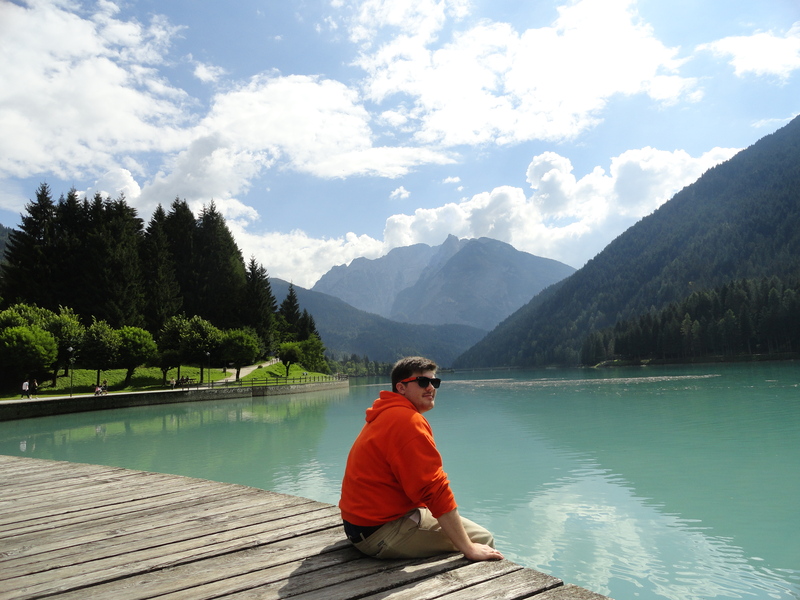 We had one layover in Belluno, and all the trains were regional-slow trains. The trip was beautiful, but my friend and I failed to validate our tickets, so the train conductor wasn’t too happy with us. Fast-forwarding to the end of the trip, we also failed to validate our tickets, and the same thing happened. Anyway, we got to the station in Calalzo, and Thea took us to meet te other students at a local museum. The museum was the home of a famous Renaissance painter, Tiziano Vecellio. While it was modest, it was cool to see some of his works displayed in a home that was over 500 years old. 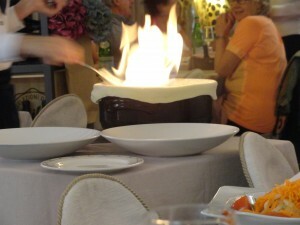 We then were driven to the hotel by Alessandro, where we got our rooms and had dinner. I was lucky to have a single room with a Queen bed, a bathroom, and a window. 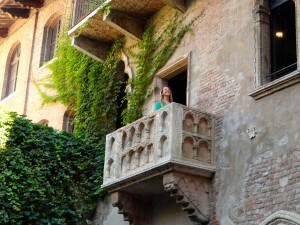 The best part, though, was the balconies looking out on the town. The pictures in this post speak for themselves, but needless to say, we woke up with a B.E.A.Utiful view each morning. 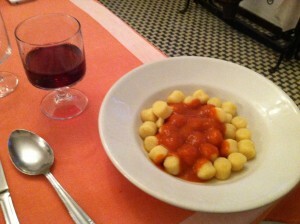 Gli gnocchi . . . . . .
were, and how delicious the sauces were. When we thought dinner was over — which it wasn’t — we had our secondo piatto of turkey, roasted peppers, green beans, and eggplant. 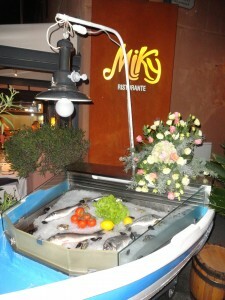 Everything was fresh and amazingly delicious. It’s even herder to imagine that, since this is the off-season, Alessandro did everything himself. We then walked out to the town nearby to explore the nightlife, but I’ll spare you the details . . . The next morning we got up bright and early for a breakfast of coffee (more like jet-fuel) and biscuits with jam. 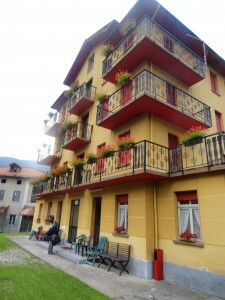 Then we left for the town of Auronzo with bag-lunches in our hands, ready for an adventure. The host-mother guiding us dropped us off at a bust stop, explained the schedule, and explained that she wanted us to take the 5:20pm train back — not a big deal right? 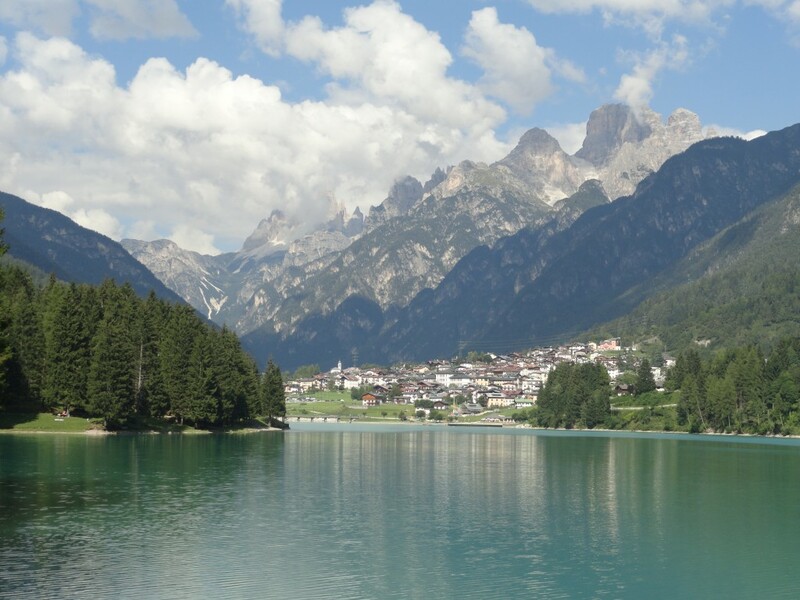 So off we go, and the bus takes us to Misurina, the town with the hiking trails we were about to take. When we got there, we were paralyzed for at least 20 minutes, gaping at the beautiful mountains (even more beautiful than the last)and the nearby lake. After buying a map (definitely a good idea) we decided to take a ski-lift/funicular part-way up the mountains. At that vista, we took some great pictures. 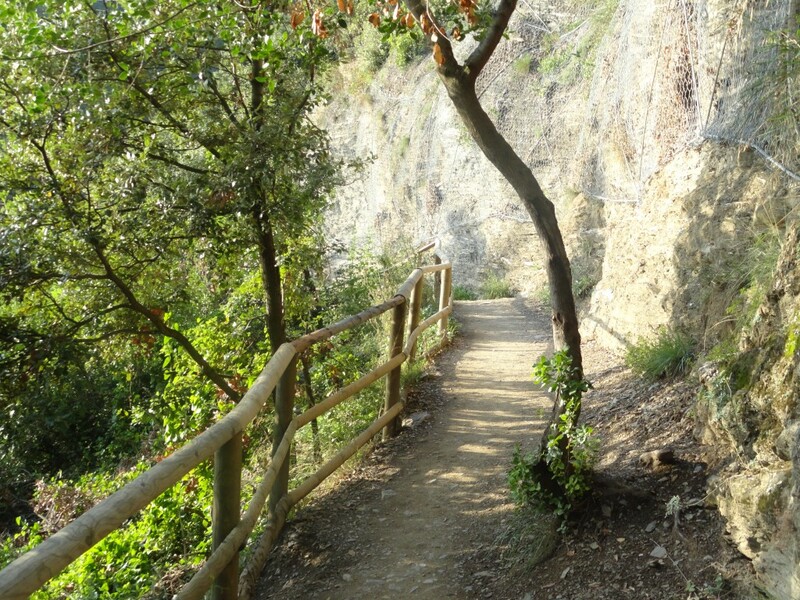 Without any poles, helmets, or other hiking gear, we began the serious ascent. After realizing within a matter of minutes that none of us were physically trained to handle this kind of trip, we took it safe and slow. Even with a map, we didn’t really know where we were going — we simply followed the trail and followed the seemingly more experienced hikers. After about an hour and half, we made it to the top of one of the major mountains. There, we found a rifugio, which was a bar/restaurant/resting area where we decided to stop for lunch. The previous night, Alessandro asked if we wanted 2 sandwiches or 3, some of us were hesitant to say 3 sandwiches, since an American would imagine three regularly-sized sandwiches. Thankfully, we each asked for 3! They were basically dinner rolls with a few slices of prosciutto crudo, prosciutto cotto, and salame. We definitely needed that. 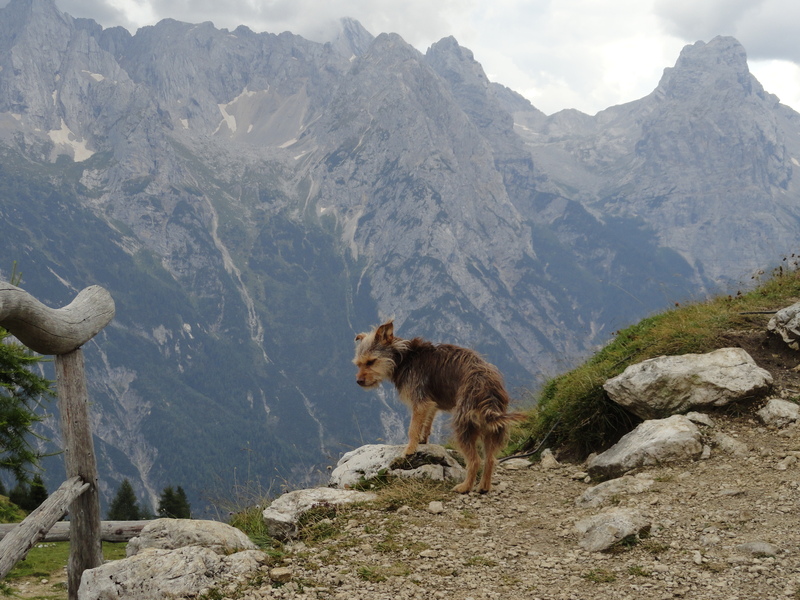 While we were eating, we met some really nice Italians, eavesdropped on some Austrians/Germans (I couldn’t really tell), and played with the little dog that lived with the owners of the rifugio. Form our seats, you could see Tre Cime di Lavaredo (Three Peaks of Lavaredo). 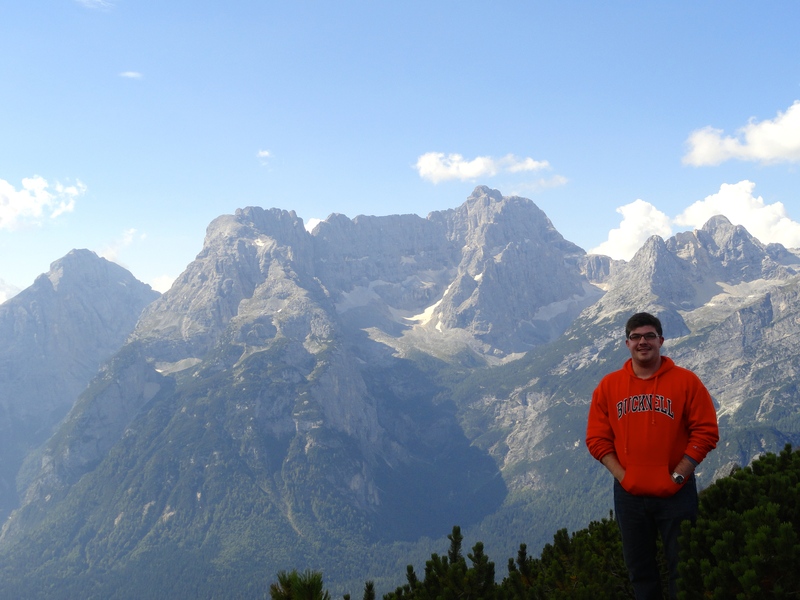 The host mother explained that these mountains were recently added to the list of the great Wonders of the World . . . I wasn’t sure if she was right, but I’ll buy it. Yeah, we (attempted) to climb this . . . .
gear to pass, and that they were going to spend the night before continuing on. 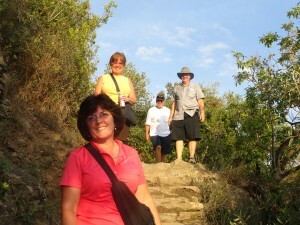 We made it a little ways up the incline, but decided we needed to go back the way we came. When we got back to the rifugio, I decided to treat everyone to a much-deserved beer (brewed in the Dolomites, might I add). Finally, we made it back down to the town of Misurina where the bus stop was. This is where the fun began. We got to the correct bus stop at the correct time, and we saw a bus coming. However, it was going in the opposite direction as compared to whence we came. Then we saw another bus going in the “right” direction, so we got on that one. We thought everything was fun, but then we didn’t recognize where we were going, so we asked the bus driver where our destination was. He responded “Cortina,” and then we were scared. Thea and Alessandro were supposed to pick us up at 6pm, and now we were going to be really late! 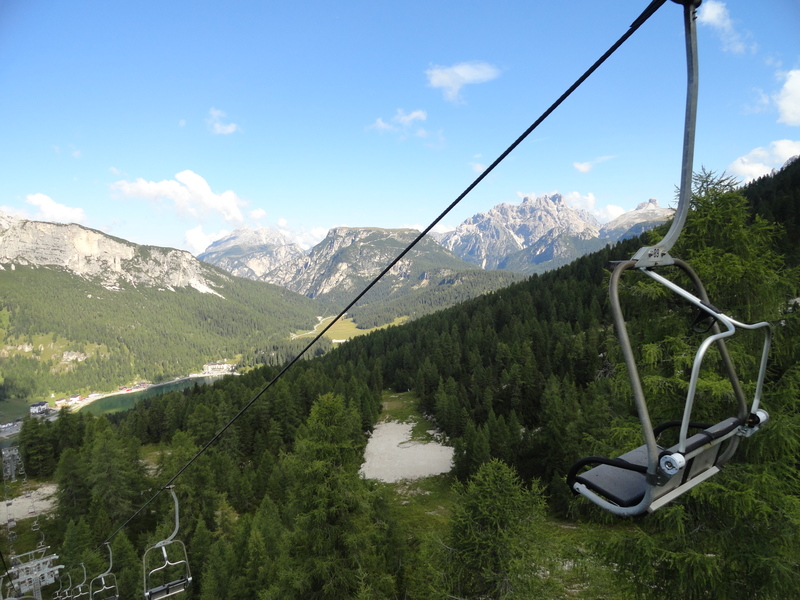 The roads around the mountain make one gigantic loop, and instead of going a short distance one way, we went all the way around the loop in the other direction.Luckily, Thea was happy we made the mistake, because Cortina is a beautiful resort town. 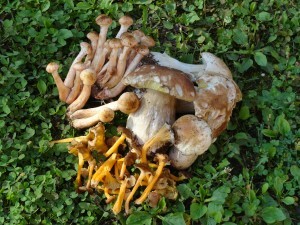 mushrooms! Maybe because they were local, or maybe Alessandro prepared them in a special way, but I couldn’t wait for more!.Our second dish was pulled-veal, which was delicious. We finished the night off with tiramisù gelato. 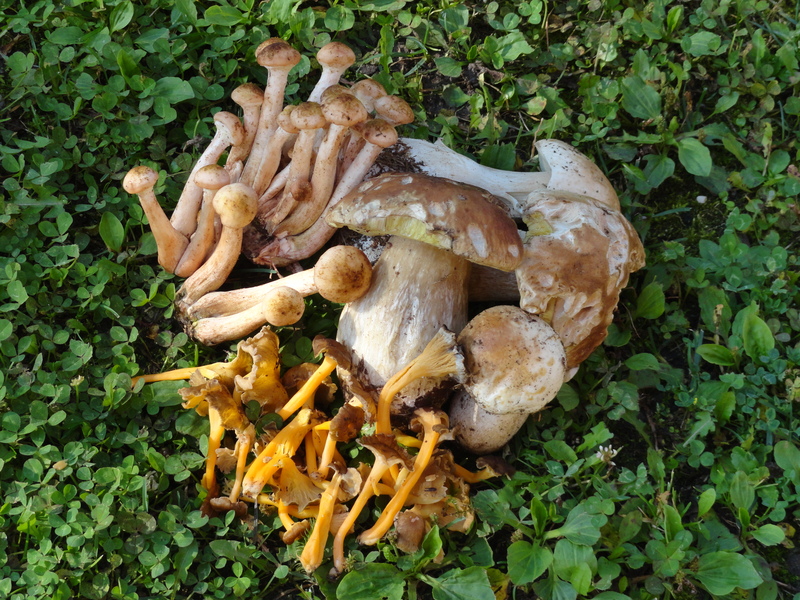 Porcini, finferli, and chiodini mushrooms that we ate. I still can’t believe that I ate those! That night I taught the group how to play Rummy 500, and then we went to bed. our ticks, so we had another run-in with the train operator. After all this, I can say it was one of the best trips I’ve ever taken, and I am so glad I spent the money and took the initiative. I don’t think I’ll ever see anything like this ever again, so it was the perfect opportunity. Enjoy the pictures! 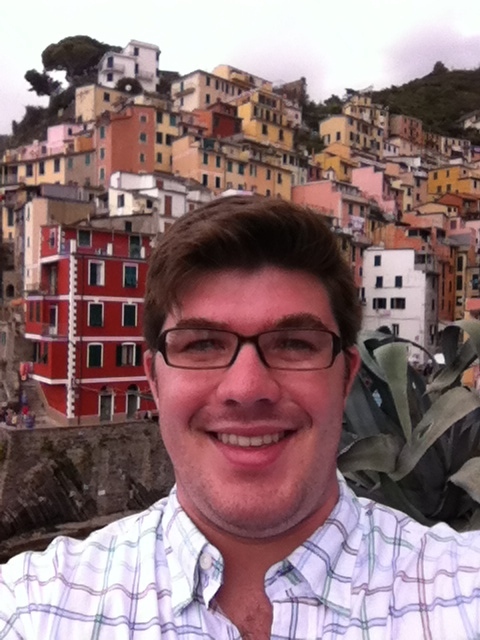 Josh Wilson on Hello world! Paul Robinson on Hello world!